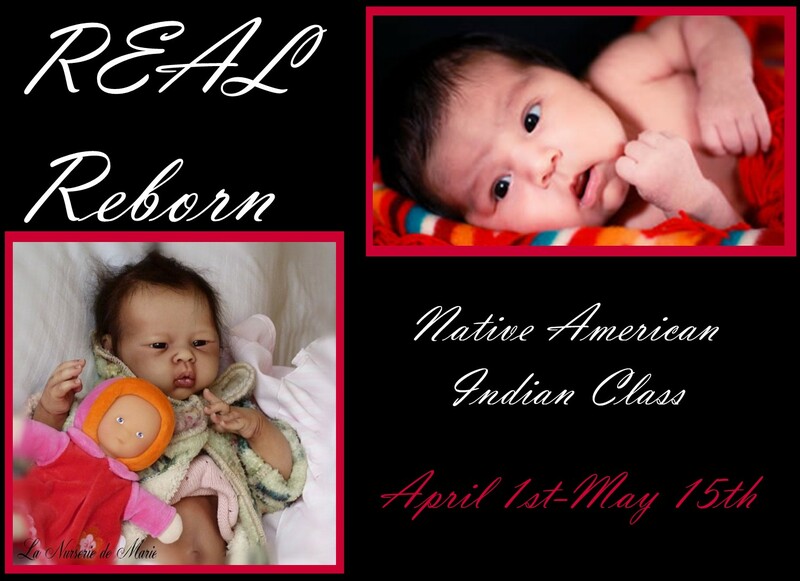 Ready for ordering now, shipping starts March 28!! Together with the limbs this will be a 18" baby. The Mix & Match Collection parts are made of soft, light colored German vinyl, so very easy to root. The Special Edition head will come with a numbered and signed body of course. *More heads and limbs will be released in the course of time. Pictures of prototype #1, Jesse head with #16 limbs set. 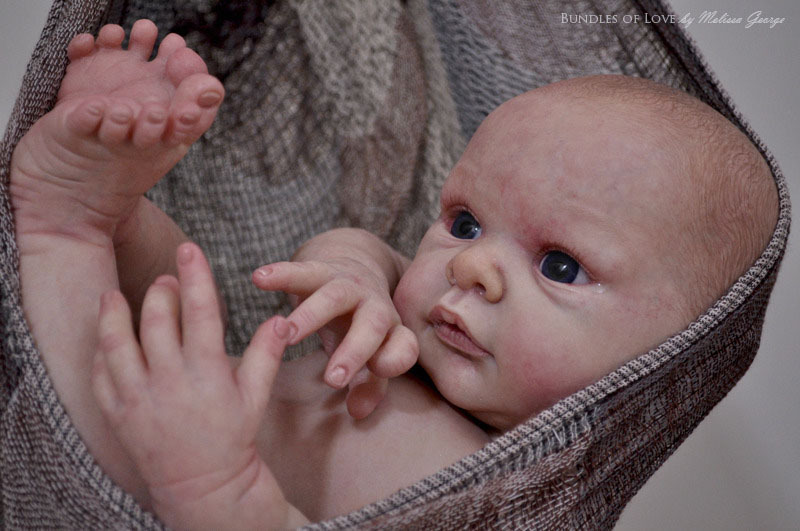 Reborned by Stephanie Lefebvre. Remember, shipping is still € 6,75 worldwide!! Noor kits are back in stock. Barry kits are temporarily out of stock, new shipment expected before April 7. We managed to get some extra parts of Liu-San, together with the remaining spare parts we now have 22 complete Special Edition kits available in our webshop. Be aware: As these are from 2 different batches of vinyl, there might be slight color differences between heads and limbs. As these parts are getting painted and reborned anyway, that shouldn't be much of a problem. 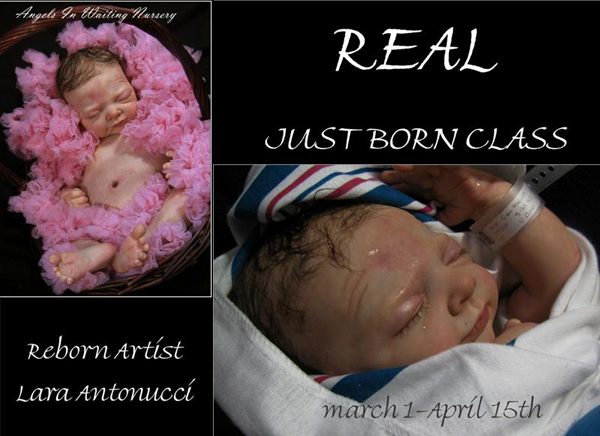 Liu-San online class by Lara Antanucci! 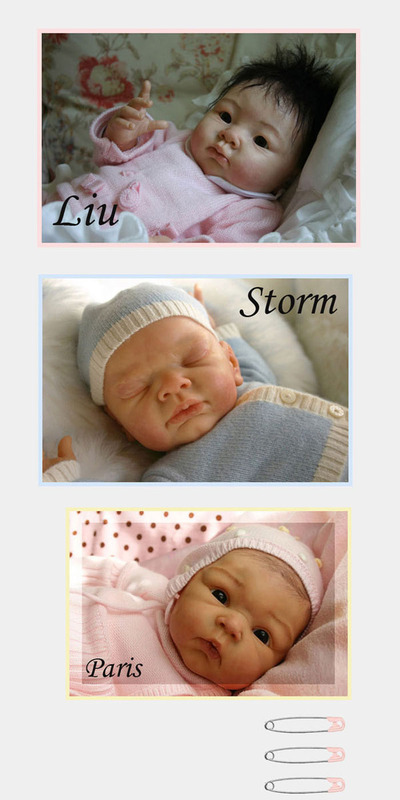 Lara will be using our Liu-San kit with her upcoming online class. Ready for pre-order!! Release date December 12. 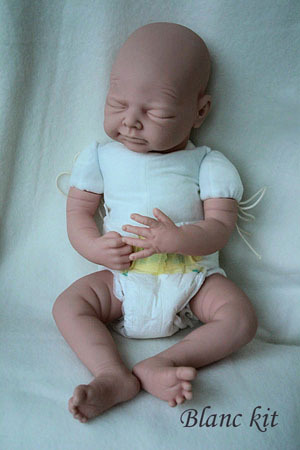 *A boys half torso, more heads and limbs will be released 2nd half of 2011 & 2012. These kits will not come back once stock is depleted!!! 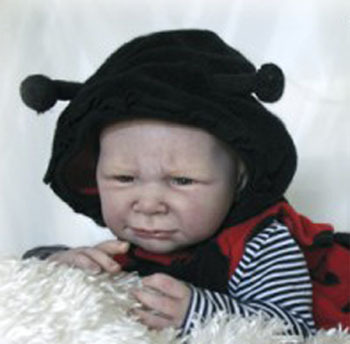 Special Editions will only be € 29,95. It's been a while since we had our last raffle so time to do another one. We aim to hold a raffle regularly, so take a look at our forum now and then and keep posting pictures! Due to spammers, newly registered users need to be activated, this will be done as often as possible. 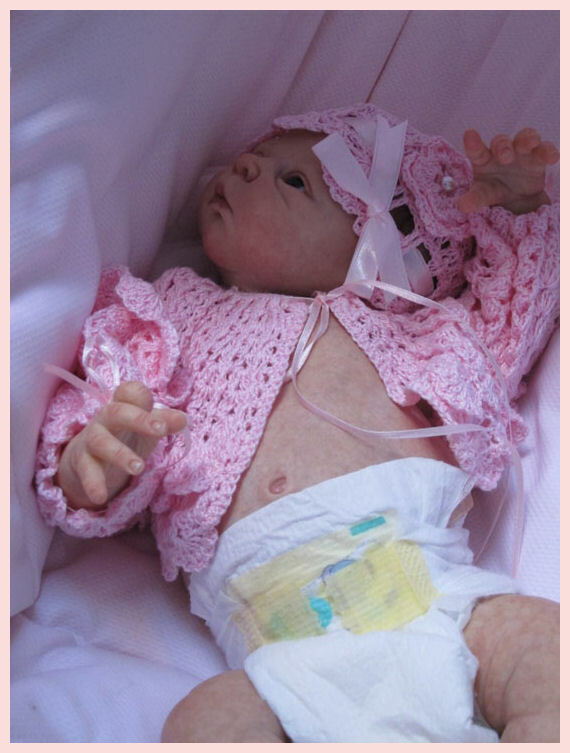 *We aim our forum to be for Adriesdolls kits only, this means that it's not possible to post pictures in the reborn gallery section of kits designed by Adrie but manufactured through other companies. 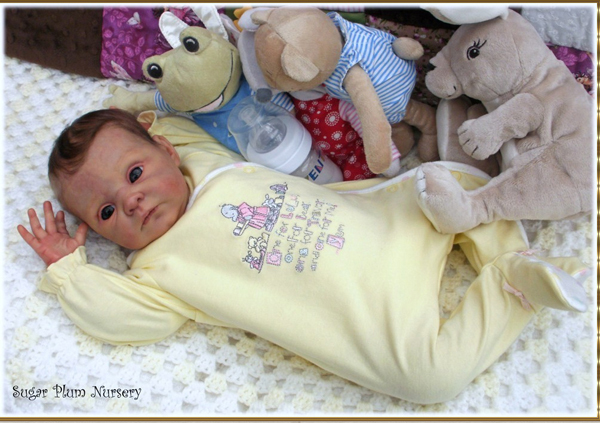 All kits designed by Adrie and manufactured via Adriesdolls are shown on our website. 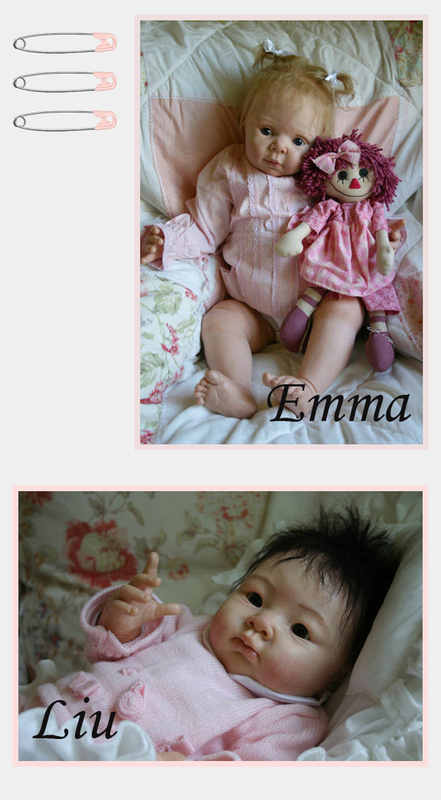 Only 2 Emma kits left, Emma is discontinued so will not come back. Sammie, Serah and Jill kits are back in stock. The Blue 20mm Full Rounds have arrived. Most colors and sizes are in stock, sizes that are not in stock at this moment will come in the next few weeks. There are several colors and sizes ( 20mm Mix&Match, 20, 22 and 24mm) available, both full rounds and flat backs. It's extremely hard to get pictures that do justice to the natural look of these solid eyes, better pictures will follow when available. Current pictures are taken by daylight in a blanc Paris kit. When ordered together with a doll kit or Mix & Match head, discount of € 5, so only € 12,95 for a pair of mouth blown glass eyes!!!! A partir de maintenant sur le site Adriesdolls est également disponible en français! Il suffit de cliquer sur le drapeau français sur le haut du site de tout lire en français. Bien sûr, nous tiendrons à jour notre site en français. Nous remercions nos clients réguliers français pour leur confiance chez Adriesdolls et nous sommes impatients de vous voir tous bientôt de retour! 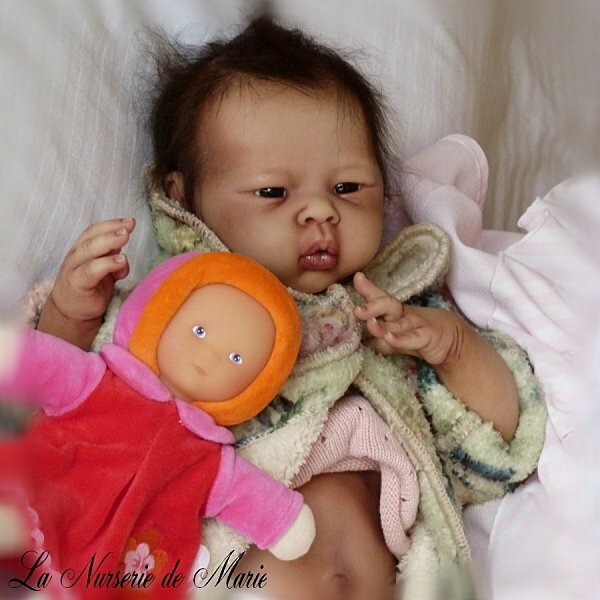 We are planning to translate the Adriesdolls website in Spanish by early 2012. We are looking for some people that can help us with translations. Only the products need to be translated. Interested? Please send me an e-mail! 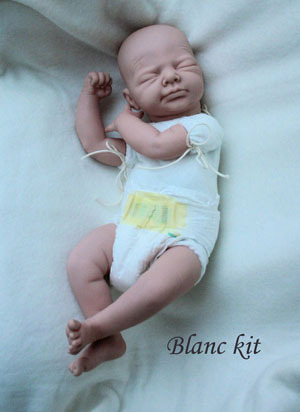 A little early to think about X-mas but to give some time for reborning before X-mas we decided to start already with reducing prices on some kits. Serah with her twin brother "Sammie"
Eyes: Most colors 20mm Flat Back are back in stock, more Blue and Blue-Grey Full Rounds will arrive any day. Sammie Special Edition is SOLD OUT! Normal edition is fully available. Suze and Jill kits are back in stock. 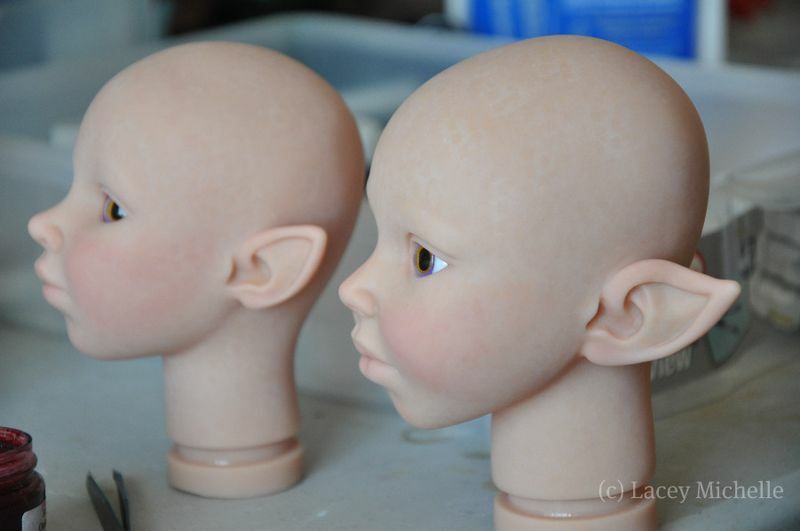 Pictures of prototype #3, Serah head with girls torso. 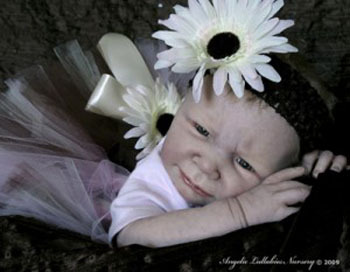 Reborned by Susan of Oopsy Daisy Nursery. 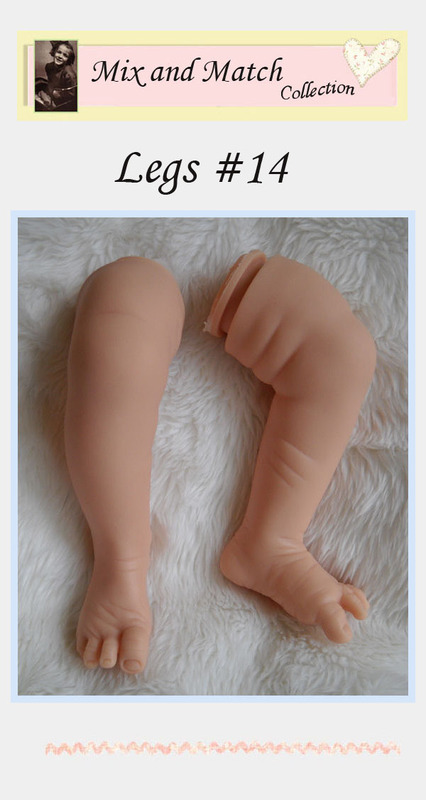 This set consists of a vinyl half torso, vinyl limbs (# 15) and a cloth upper body. Of course the cloth body has jointed arms. 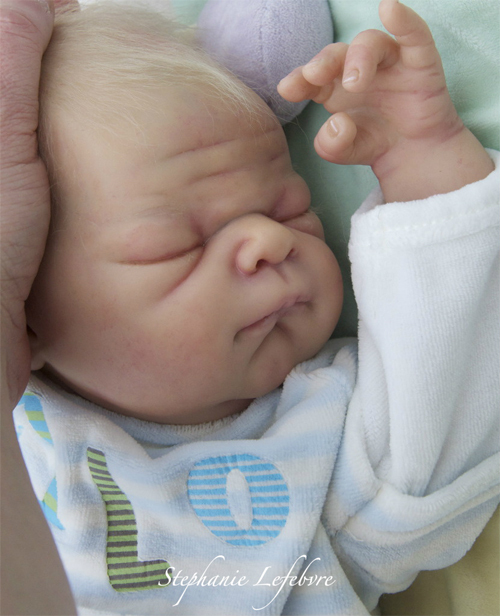 Together with one of the Mix & Match Collection heads, this torso will make your baby about 18". 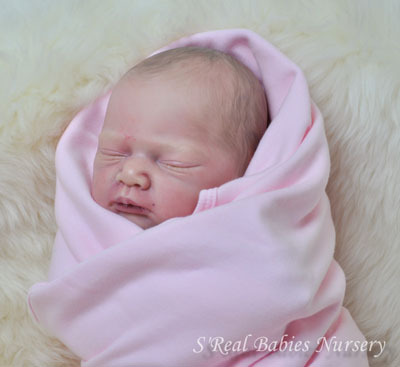 The Mix & Match Collection parts are made of a soft, pink flesh tone German vinyl, so very easy to paint or root. This torso set will only be € 49,95, when purchased together with one of our Mix & Match Collection heads. Price when bought without a head is € 59,95. (Discount will automatically be applied when both items are put in your basket or when a complete kit is chosen). When ordering a Mix & Match complete kit, you can simply select a set of limbs or a torso, or you can order all parts separately and form a complete kit yourself. Soon there will be another set of limbs available and another head. 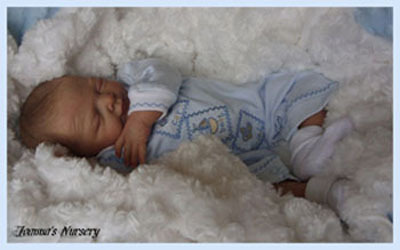 A boys torso will be available later this year or early 2012.
or of course a torso to complete your dream baby. Eyes: Blue 20mm Flat Back are back in stock, more Blue and Blue-Grey will arrive any day. Sammie Special Edition only 7 or less left. Suze kits are back in stock. After a long wait, Liu-San has finally arrived! 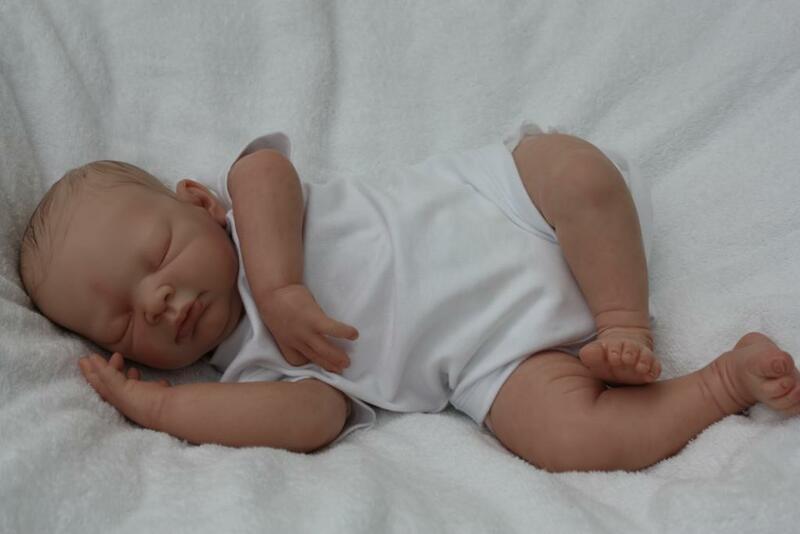 We used a new manufacturer for him and our prototype reborners are over the moon with his vinyl. Of course the vinyl is phthalate free as all our kits are. Adrie personally signs and numbers the "front opening body" that comes with the Special edition of Liu-San. 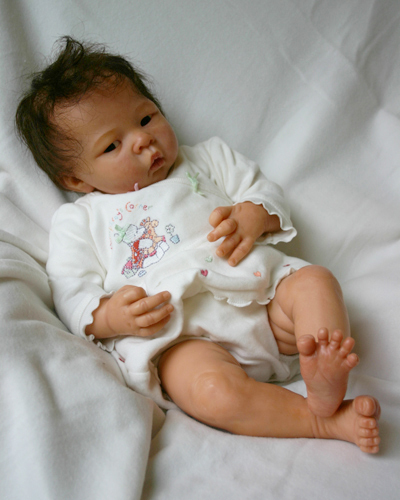 With this special body , Liu-San will measure about 19 to 20" (48-51cm) and he has 3/4 arms and full legs. 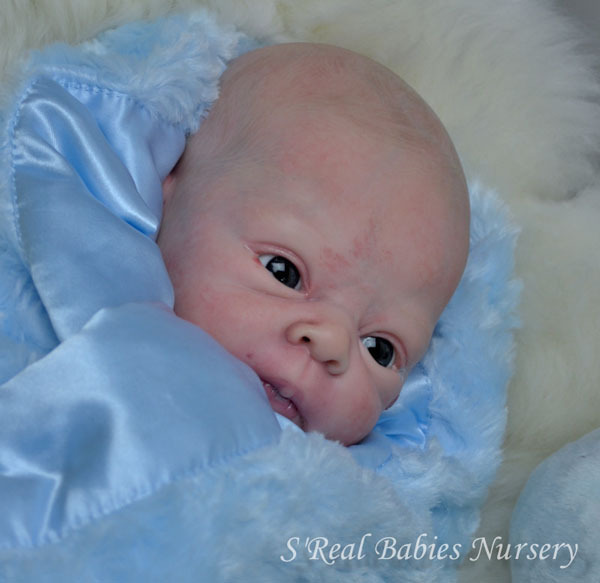 Adrie recommends our 20mm full round eyes for him as the sockets are adapted to fit them best. They will really bring Liu-San to life. 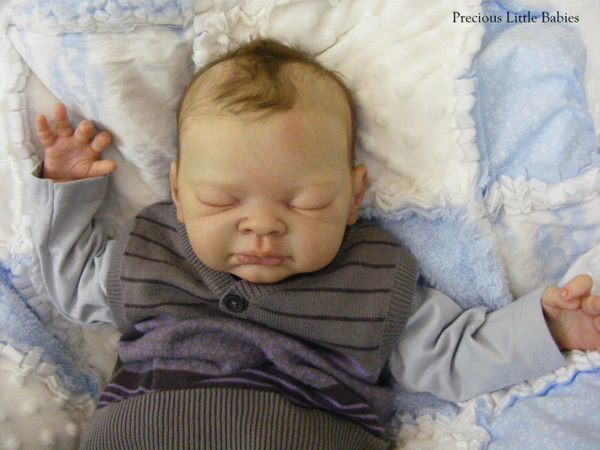 Pictures of prototypes, reborned by Marie Gambus, Jennifer Watier & Christel Tourneur-Putro. The first batch of torsos already arrived!! We do not have enough yet to ship all orders, of course first ordered, first served! More are coming in daily so we expect to be able to ship all remaining orders within a week. Eyes: Blue 20mm Flat Back are back in stock, more Blue and Blue-Grey will follow this week. Jill: heads are out of stock, more heads will come in this week, all orders will be shipped when they come in. Sammie Special Edition only 10 or less left. Suze kits are temporarily out of stock, expected around October 25. Only a dozen of the Alexia kits left, we stopped producing her so these are the last ones available. Only less than 15 Barry Special Editions left. They are not in yet but we have just put the girls torso in stock, we will start shipping orders with a torso as soon as they arrive. 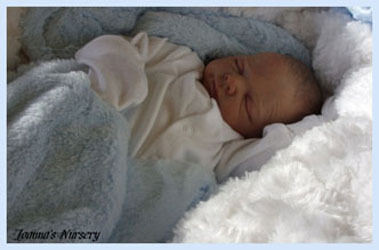 Expected date of arrival is October 24 - November 4. We have just added the girls torso for the Mix & match Collection to our website, we do not have them in stock yet so they can't be ordered at this moment but we will update stock very soon. We expect to start shipping in 2 weeks. Discount will automatically be applied when both items are put in your basket. The torso will be available near the end of this month. When ordering a Mix & Match complete kit, you can simply select a set of limbs or torso, or you can order all parts separately and form a complete kit yourself. With every order containing at least one kit*, you will receive a coupon code. This coupon code gives you a € 20 discount on your next order. After a long wait, Liu-San has finally arrived! 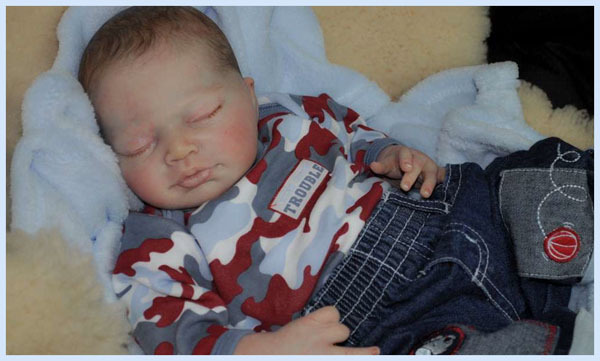 We used a new manufacturer for him and our prototype reborners are over the moon with his vinyl. Ofcourse the vinyl is phthalate free as all our kits are. Please place all pre-orders separate from any current orders or other items. You will get an automated message around October 6 to pay the remaining sum and you can add eyes, body and tummy plates then. 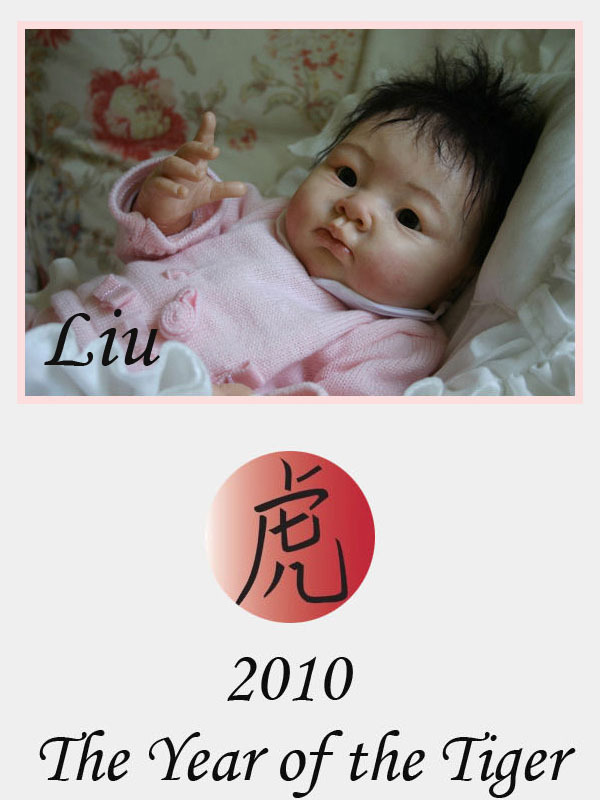 In case you decide to place a normal order and pay the complete sum for Liu-san up front, you can add the eyes, body and tummyplate immediately. 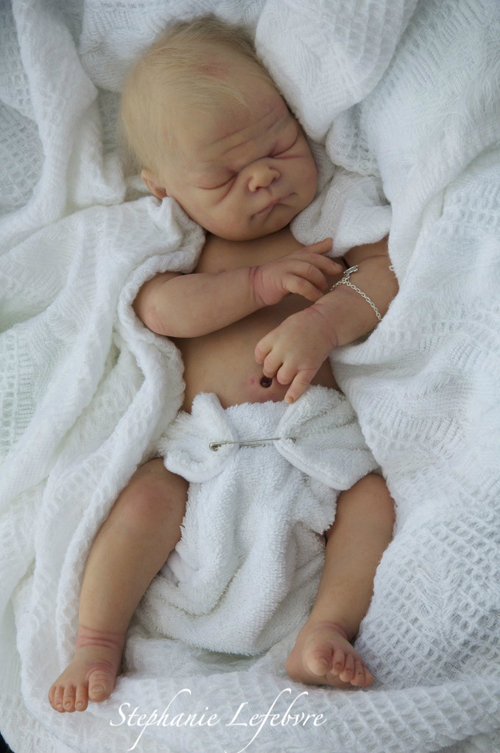 Pictures of prototypes, reborned by Marie Gambus & Jennifer Watier, more pictures will follow soon! Sammie Special Edition less than 25 left. Suze kits are temporarily out of stock, expected around October 18. 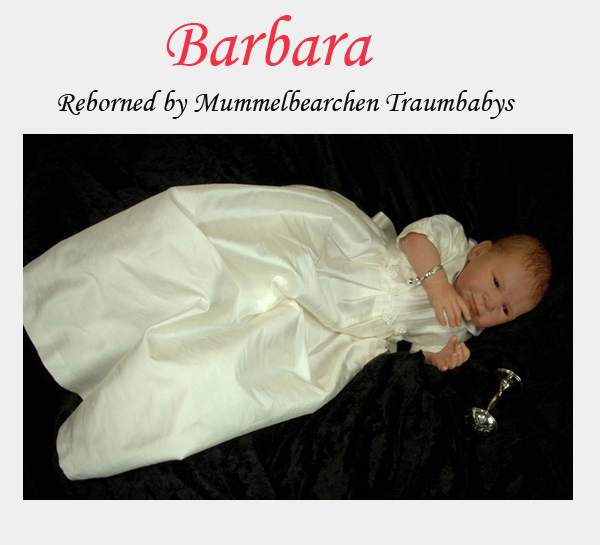 Barbara Special Edition is SOLD OUT / AUSVERKAUFT / ÉPUISÉ / UITVERKOCHT. €20 off on Deidre, Eveline and Rosanne. This means the normal editions are only € 49,95 each! That's a discount of 29%!! Of course the offers for Free Shipping on Julie Special Edition and the Free body with Julie normal edition are also still valid. *Half torsos, more heads and limbs will be released 2nd half of 2011. All orders with at least 1 Julie Special Edition will be shipped for FREE, worldwide with TNT. All customers ordering at least 1 Julie Normal Edition will receive a FREE body. 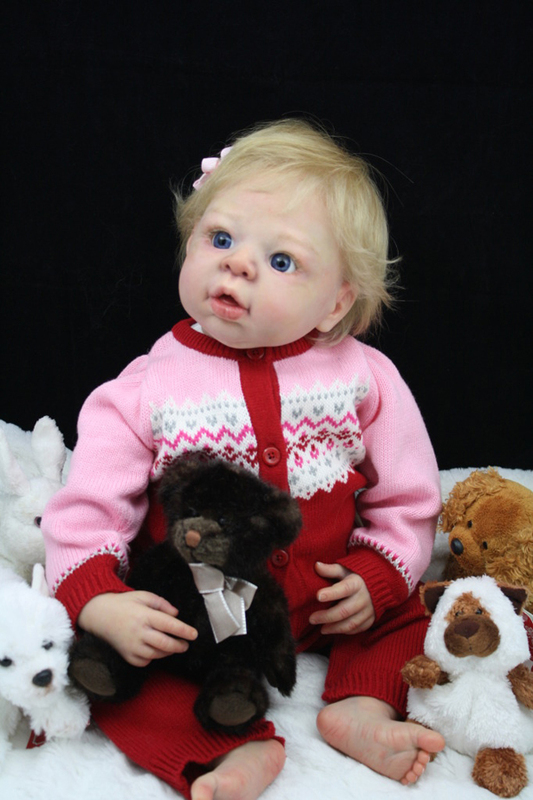 Pictures of prototype #1, Julie head with #14 limbs. 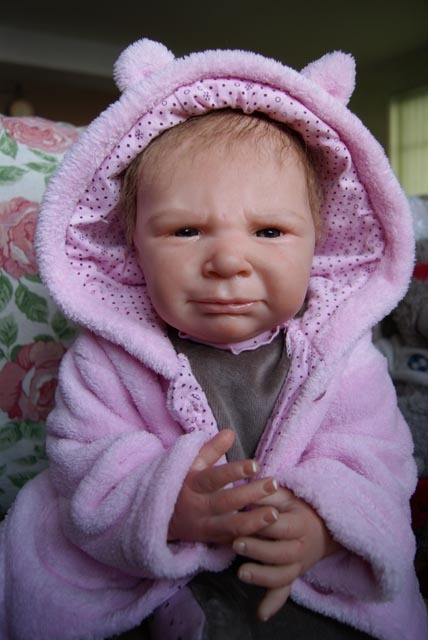 Reborned by Selena Saxton. 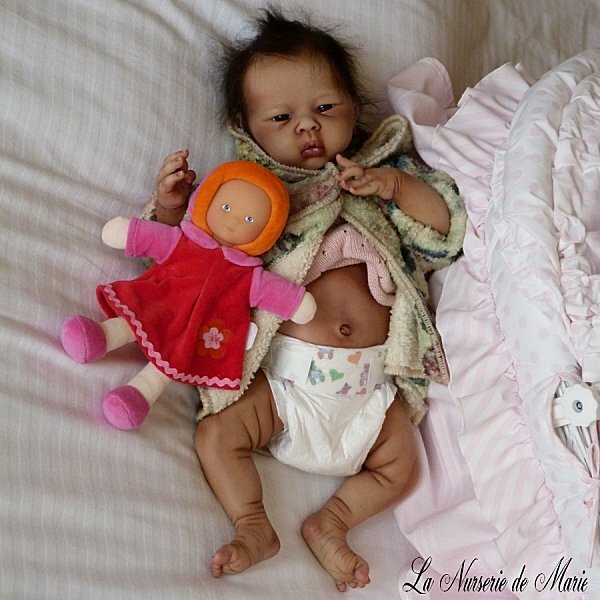 Prototype # 2, Julie head with #14 limbs, Reborned by Stépanie Lefebvre. Prototype # 3, Julie head with #14 limbs, Reborned by Charlotte Thorin. Sammie (Normal & Special Edition) is temporarily out of stock, new shipment is on it's way so all new orders will be shipped around September 20! Only a dozen Barry Special Editions left. Unfortunately there were some problems with the Adriesdolls website being slow when adding products to the cart and going to checkout. The problem was not with us but with UPS, one of the shipping companies we use. We retrieve live data for UPS shipping rates each time a product is put in the shopping cart. However part of the UPS site is down and this caused that the Adriesdolls website kept waiting on an answer from UPS that never came. That's why only the cart and checkout were this slow and not surfing around at the Adriesdolls website as our website was working fine. Our webtechnicians have solved it by temporarily not offering UPS as a shipping option and everything is working smoothly as usual. Thank you for your patience everyone and have fun surfing around on the Adriesdolls website! First special offers have started!!! 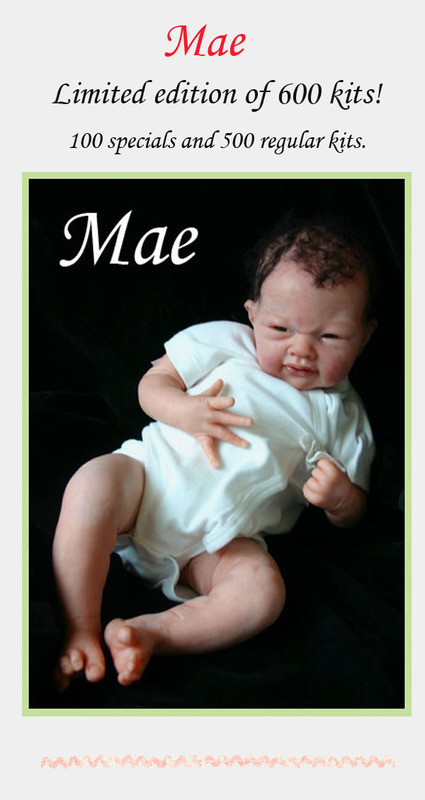 In September 2011, Adrie marks her 20th anniversary in the doll business. Over the course of September, we'll be celebrating two decades of doll making along with you, our loyal customers who made it all possible through your passion, enthusiasm, and support. Therefore we have lots of spectacular offers for you this month. Offers vary from Free Shipping, Discounts on kits to Free Products. We change our offers regularly this month so keep an eye out on the newsletters. 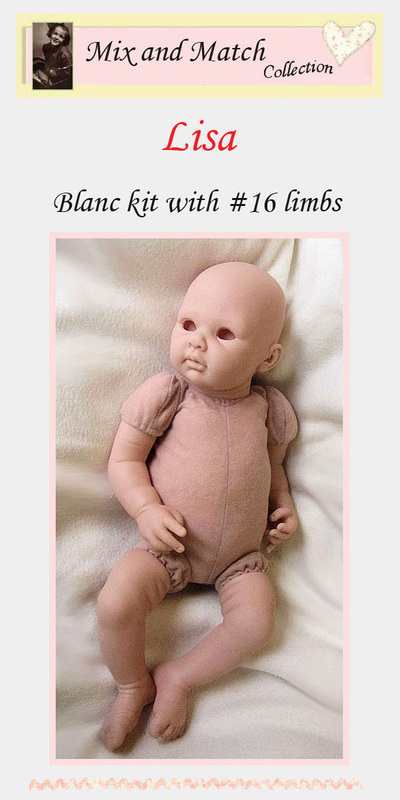 Unfortunately the new #15 limbs sets did not arrive on time so only #14 limbs available. To keep things on schedule we decided to release Julie head anyway and we hope to be able to offer more limbs sets and the first of the half torsos soon. Only a few Barbara Special Editions left. With the current 20% discount, only € 27,96!! 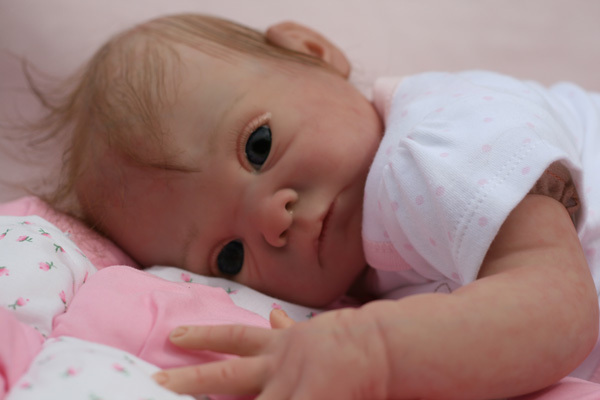 Adriesdolls ist ab sofort auch in deutscher Sprache verfügbar! um alles auf Deutsch lesen zu können. Selbstverständlich erhalten Sie auch zukünftig deutsche Unterstützung von unserer Seite aus! * Noch stärkerer Servicekomfort für Sie! * Wir haben ein offenes Ohr für Sie! und bedanken uns auch in diesem Sinne bei unseren jahrelangen, treuen Kunden! 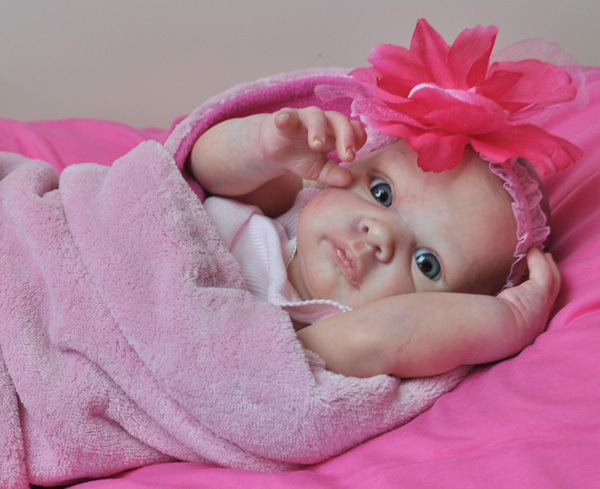 Adrie recommends our new 20mm Mix & Match Collection Full Round or Half Plated eyes for her. 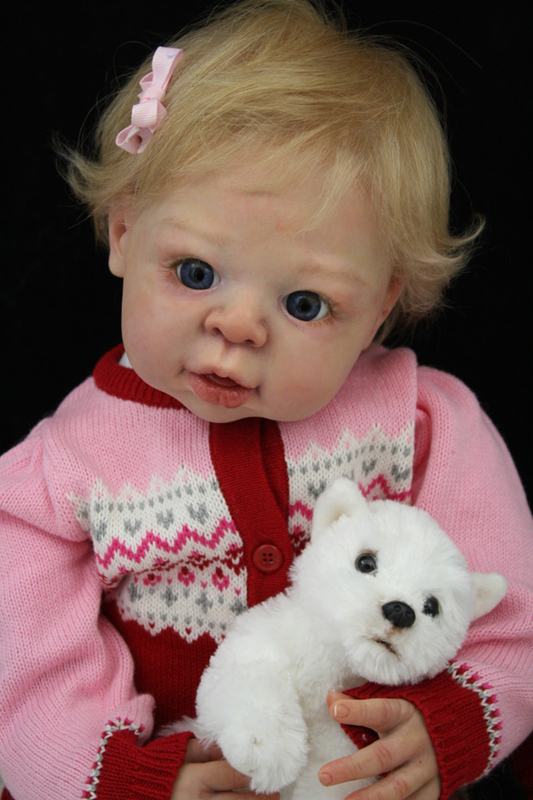 Pictures of prototype #1, Sammie head with #14 limbs. 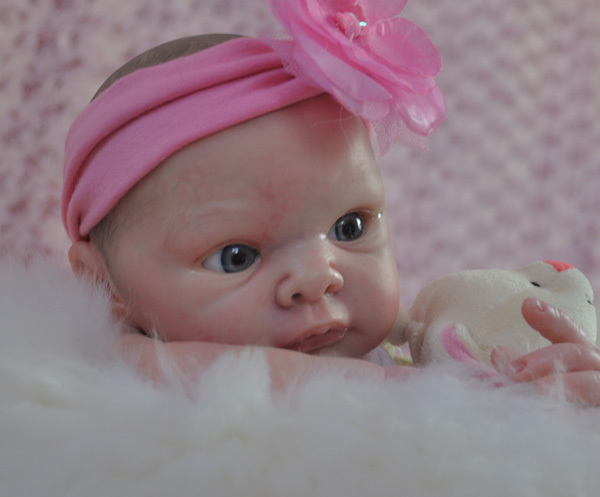 Reborned by Selena Saxton, she used our 20mm Full Round M&M eyes in Antique for her. Prototype # 2, Sammie head with #14 limbs, Reborned by Lynne Hamilton, she used our 20mm Full Round M&M eyes in Hazel for her. 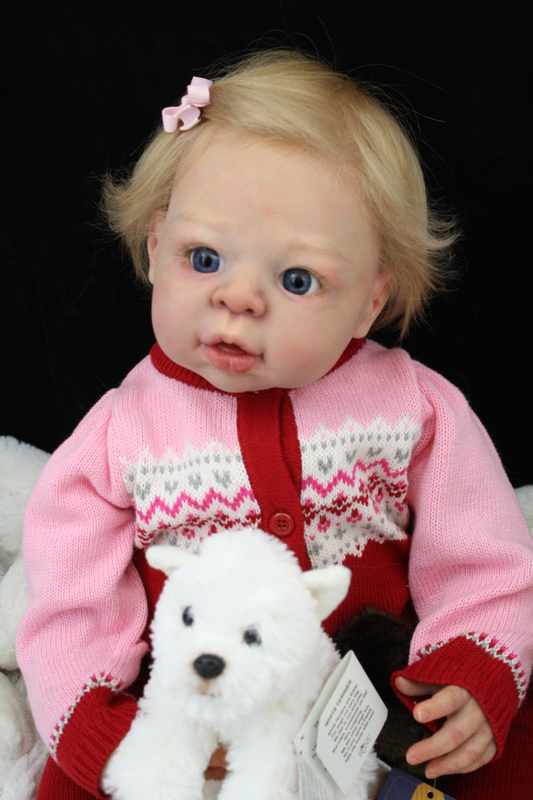 Pictures below are from Sammie head prototype #3, with #14 limbs. 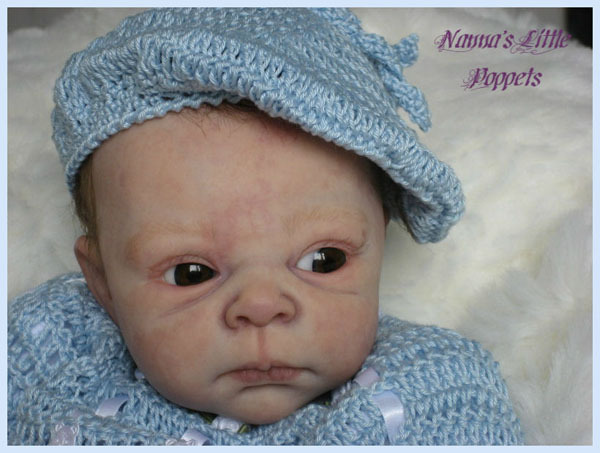 Reborned by Cheryl van Pletzen, she used our 20mm Full Round M&M eyes in Blue for her. 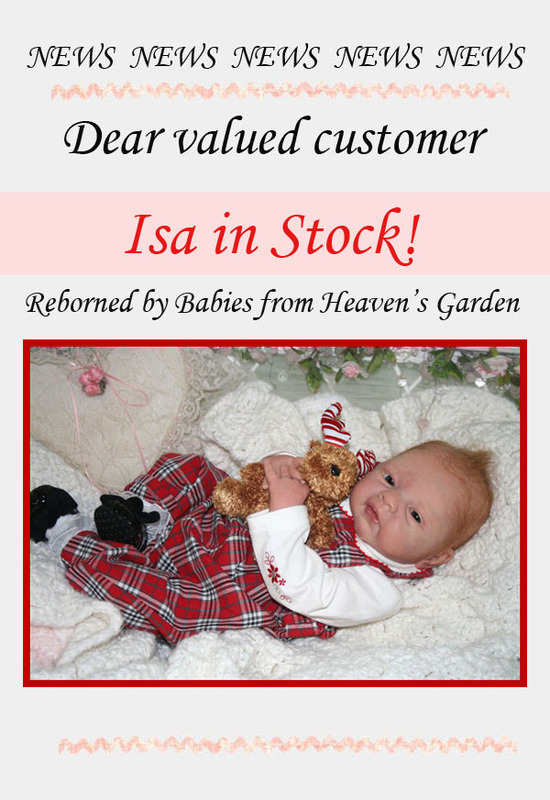 As you all know we stopped producing Isa and she was out of stock for over half a year now. However, during stock taking we found 12 complete ISA kits hidden below some other kits. So this is your chance to get a highly sought after Isa kit, as mentioned only 12 available! The new Mix & Match Flat Back (also known as Half Plated) eyes are in. You can now choose between Full Rounds or Flat Backs for your Mix & Match dream baby! All 20mm Mix & Match eyes colors now fully available!! All other sizes that are not in stock at this moment will come in the next few weeks. When ordered together with a doll kit or Mix & Match head, introduction discount of € 5, so only € 12,95 for a pair of mouth blown glass eyes!!!! 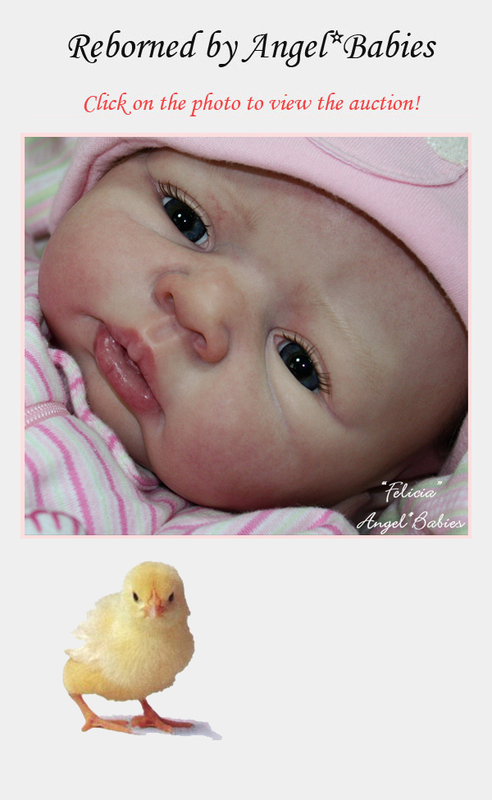 Adrie recommends our new 20mm Mix & Match Collection Full Round eyes for her. 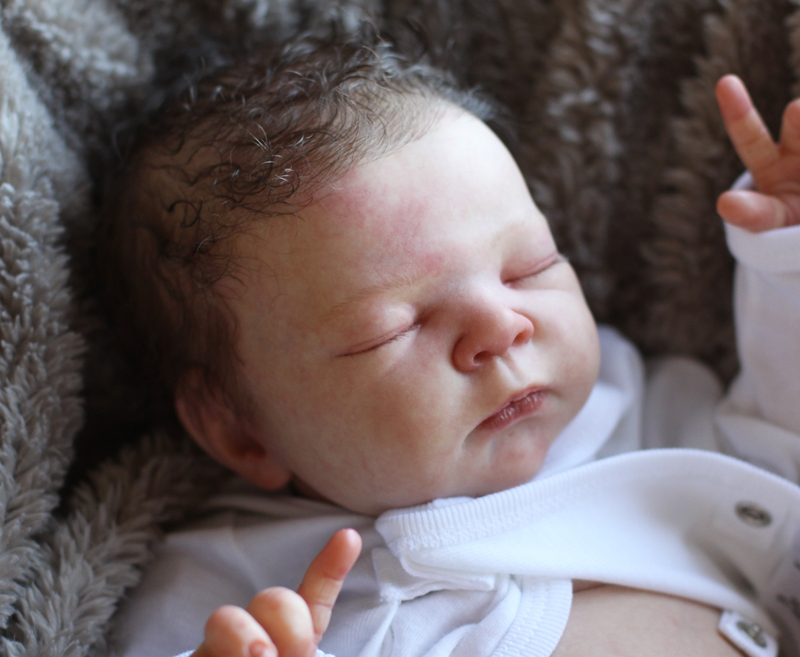 Pictures of prototype #3, Jill head with #14 limbs set. 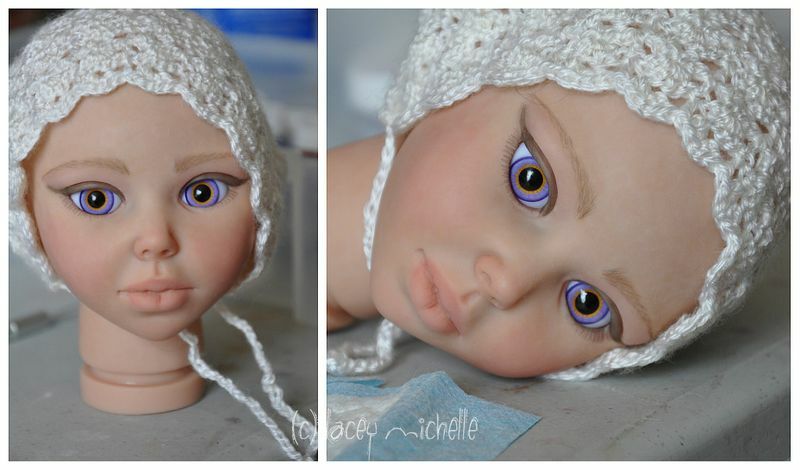 Reborned by Melissa George, she used our 20mm Full Round M&M eyes in Blue for her. 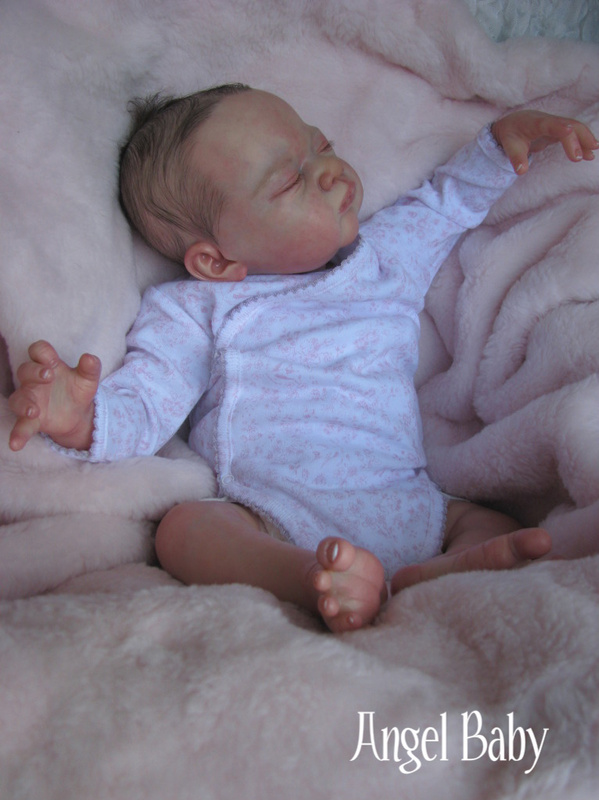 Pictures below are from head prototype #1, with #14 limbs. 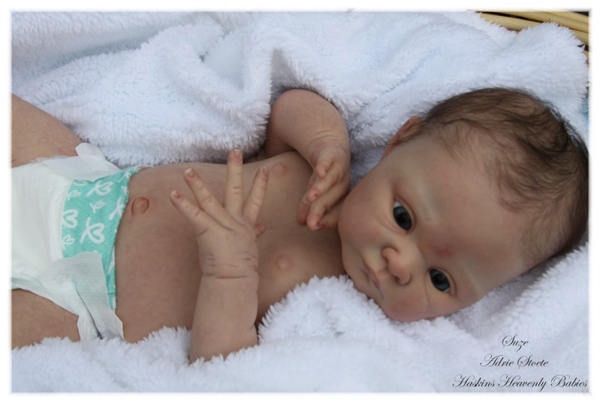 Reborned by Selena Saxton, she used our 20mm Full Round M&M eyes in Blue-Grey for her. Please be aware that during check-out you can select several shipping companies and shipping options. First head of our Mix & Match Collection. 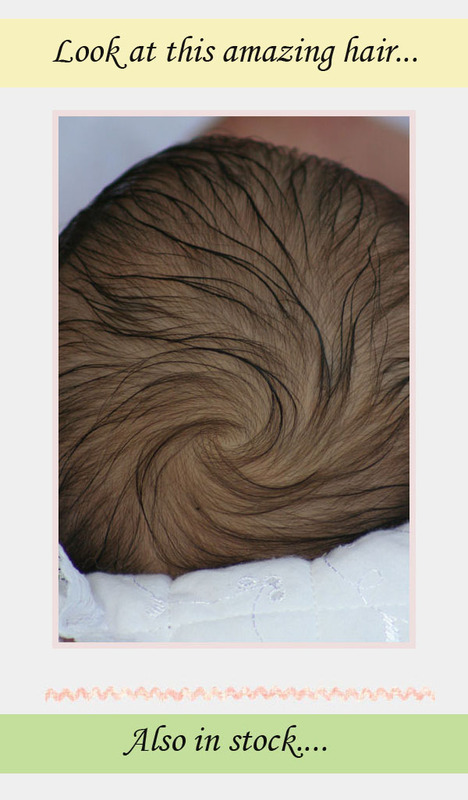 This is a head only. 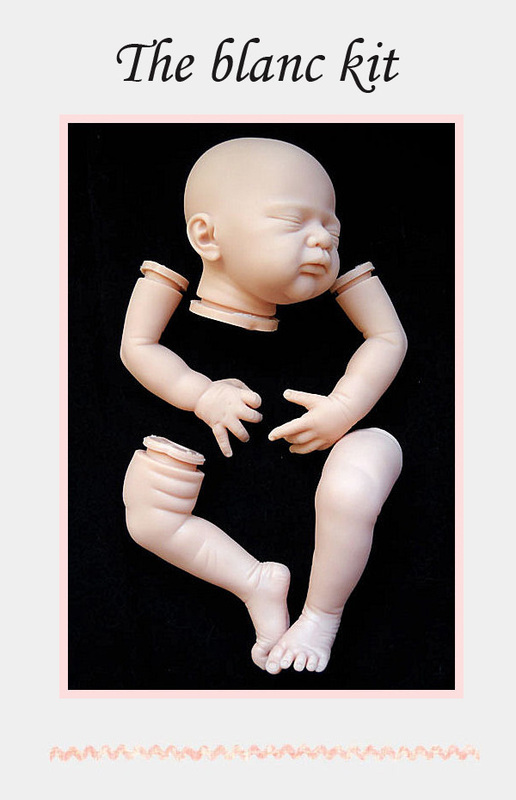 To make a complete match, select a set of arms, legs and a half torso* or body too. 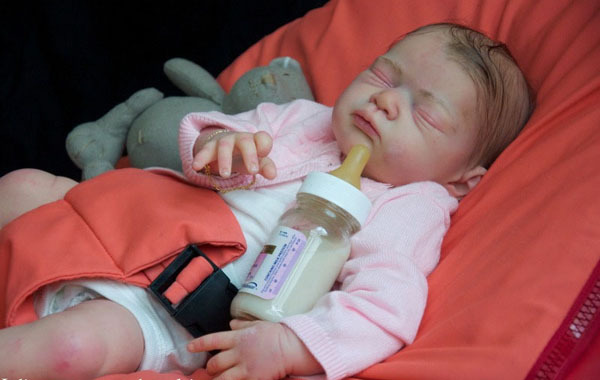 *Half torsos and more heads limbs will be released 2nd half of 2011. 3/4 arms for Mix & Match Collection. These arms will make you kit 18". 3/4 legs for Mix & Match Collection. 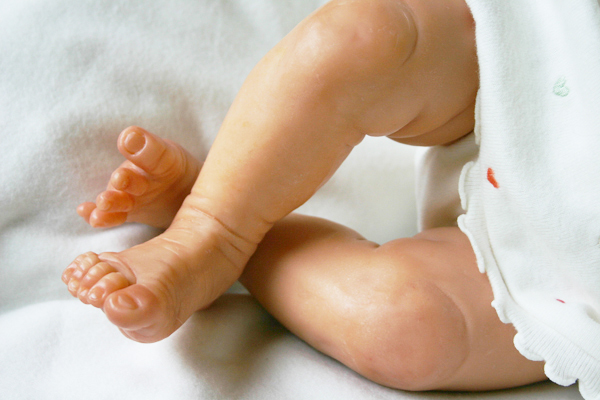 These legs will make you kit 18". 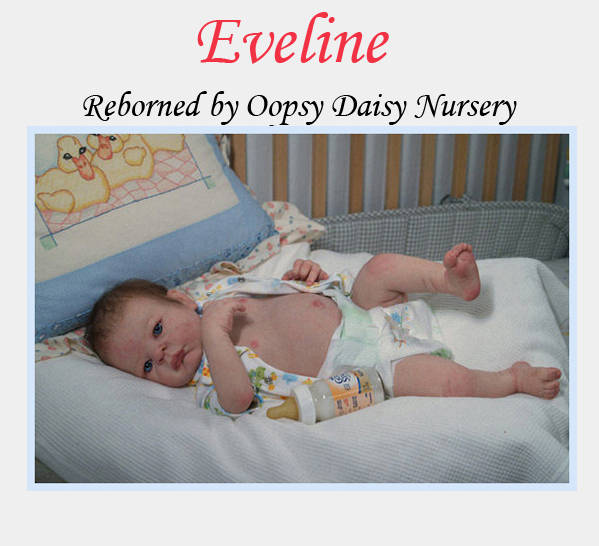 Special Offer on Eveline kits!!! FREE worldwide TNT shipping (Select TNT shipping during check-out) for your entire order when ordering at least one Eveline or Eveline Special Edition kit. Offer only applies to TNT shipping, TNT shipping rate will automatically adjust to 0 when an Eveline (Special Edition) is put in your basket. You can select TNT shipping during check out!! Suze normal edition back in stock, Suze Special edition Sold Out!! We decided to add 20mm eyes with a smaller iris instead of 18mm to our range to suit our new Mix&Match Collection kits. We also decided to extend our Special Offer until December 31 to give you the possibility of ordering the 20mm Mix&Match for a special price too when they are available. Expected release date July/ August. More info will follow the coming weeks! FREE worldwide shipping (TNT) for your entire order when ordering at least one Eveline or Eveline Special Edition kit. Offer only applies to TNT shipping, TNT shipping rate will automatically adjust to 0 when an Eveline (Special Edition) is put in your basket. Suze normal edition will be back in stock May 15! Suze Special edition available until #100 is reached. 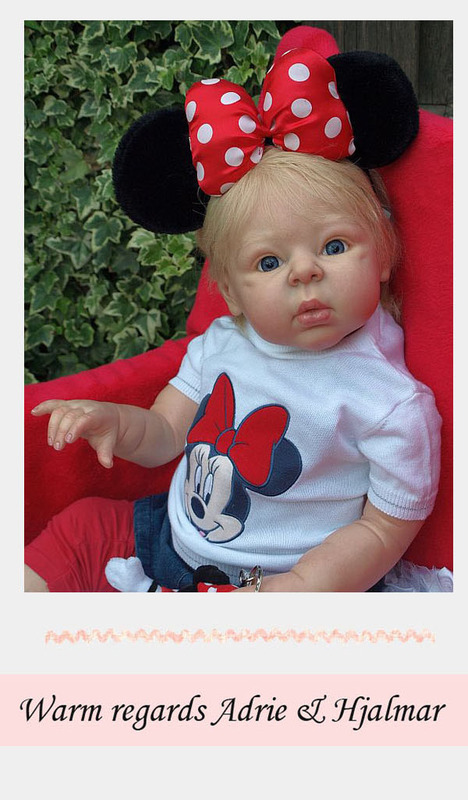 As always we will have only 100 Special edition kits, exclusively available through the Adriesdolls website. 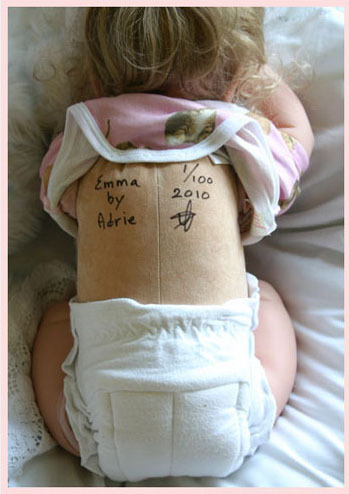 Adrie personally signs and numbers the bodies as well as the certificates of these Special Editions. Normal edition is not limited this time. All colors of the 20mm Half Plated eyes that Adrie recommends for our new Suze kit and our Special Offer on Eveline are back in stock, most of the other sizes / colors that are sold out will be back in stock in about 3 to 4 weeks. As all eyes are handmade, it takes some weeks to get them back in stock again. We decided to add 20mm eyes with a smaller iris instead of 18mm to our range to suit our new Mix&Match Collection kits. We also decided to extend our Special Offer until June 30 to give you the possibility of ordering the 20mm Mix&Match for a special price too when they are available. There are several colors and sizes ( 20mm Mix&Match*, 20, 22 and 24mm) available, both full rounds and flat backs. 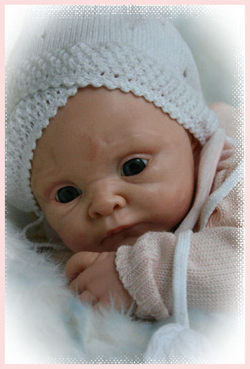 When ordered together with a doll kit, introduction discount of € 5, so only € 12,95 for a pair of mouth blown glass eyes!!!! Prototypes of all parts are coming in daily now. Expected release date: June / July. More info on both will follow the coming weeks! We will start shipping Suze next Monday, April 18! The 20mm Half Plated eyes that Adrie recommends for our new Suze kit are back in stock, the 18mm and most of the eyes that are sold out will be back in stock in about 10 days. As all eyes are handmade, it takes some weeks to get them back in stock again. Of course we ordered larger quantities this time. We decided to add 18mm eyes to our range to suit our 18" kits and the new Mix&Match Collection kits. We also decided to extend our Special Offer with another month to give you the possibility of ordering the 18mm for a special price too. There are several colors and sizes ( 18*, 20, 22 and 24mm) available, both full rounds and flat backs. Only 2 left, add one to your Suze order to pay zero shipping, Worldwide!! 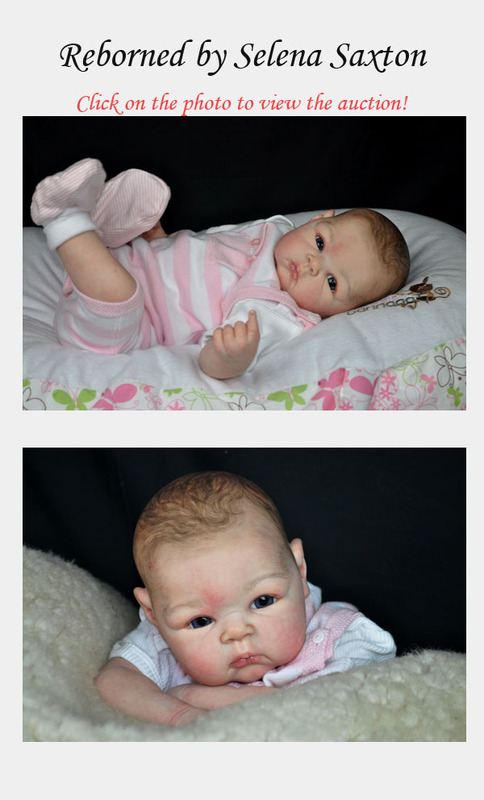 As always we will have only 100 Special edition kits, exclusively available through the Adriesdolls website. They will come with a signed and numbered body. Normal edition is not limited this time. You can order (pay in full) or pre-order (pay € 20 now and remainder later) Suze now!! Release date will be April 11 or 18. (Please do not add items together with your pre-order, you can do this later when you receive an e-mail to finish your pre-order). 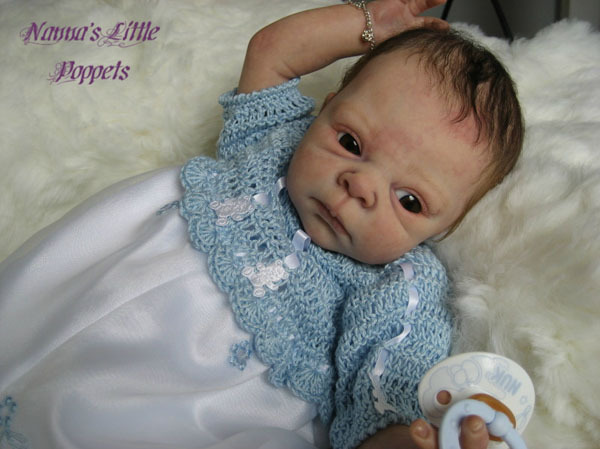 We received a lot of positive reactions about our new doll eyes. Unfortunately some of them are already out of stock. As all eyes are handmade, it takes some weeks to get them in stock again. Of course we ordered larger quantities this time. As they are so popular, we decided to add 18mm eyes to our range to suit our 18" kits and the new Mix&Match Collection kits. We expect to receive them any moment now, so early-mid April. We decided to extend our Special Offer with another month to give you the possibility of ordering the 18mm for a special price too. 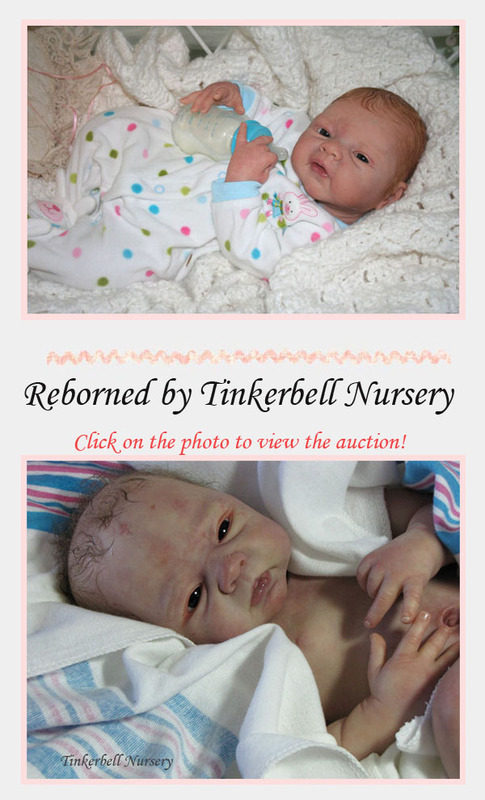 Next to our line of doll and fairy kits we will soon introduce something entirely different. 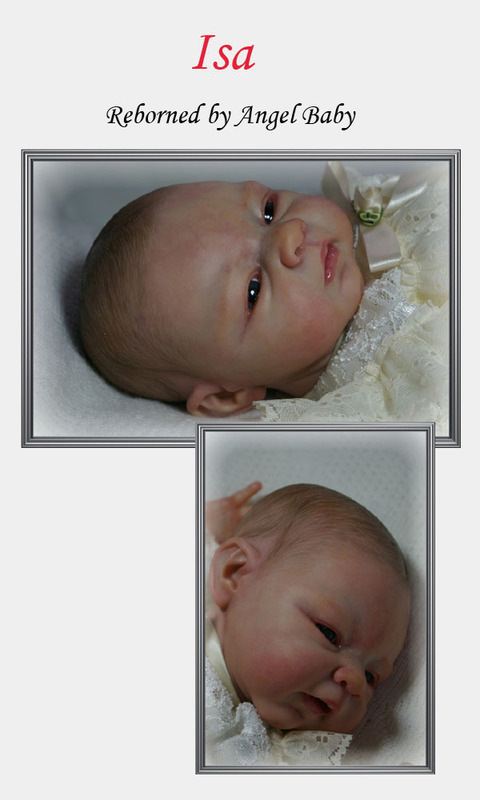 We will start a new line of Collectables, very small babies made out of Resin or Silicone. First 2 will be made out of Resin. 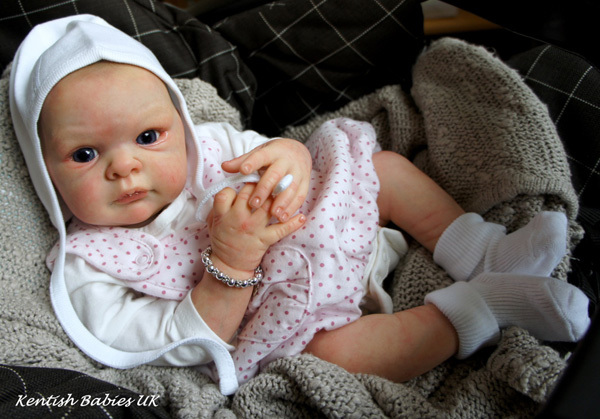 They will measure 8", and will come with a nappy and a cape. 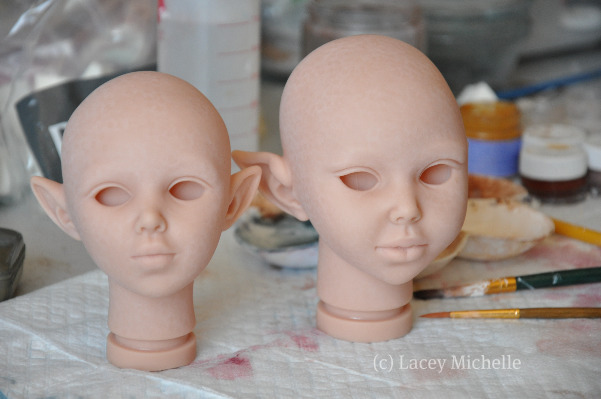 They are skin colored and will be shipped in a nice little collectors box. 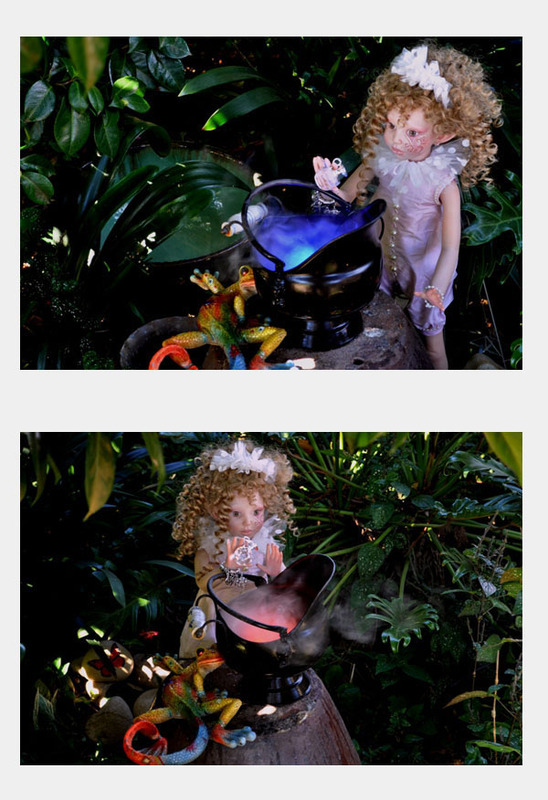 Below some pictures of Yorick and Jolie, be aware these are the ooaks and not the Resin dolls. They are in production at this moment so no price info for them yet. Expected release date will be April/May. Further updates will follow, so keep an eye out for our next newsletters. Customers that place a pre-order will automatically receive an e-mail to finish their order a few days before Suze will be released. (You can also add things to your order if you like then. Please do not add items together with your pre-order!!!). 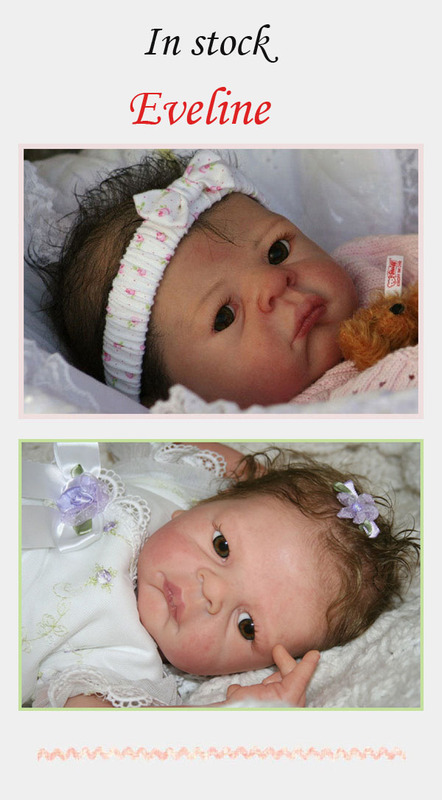 We received a lot of positive reactions about our new doll eyes. Unfortunately some of them are already out of stock. As all eyes are handmade, it will take some weeks to get them in stock again. Of course we ordered larger quantities this time. As they are so popular, we decided to add 18mm eyes to our range to suit our 18" kits and the new Mix&Match Collection kits. We expect to receive them in about 3 weeks from now, so early-mid April. 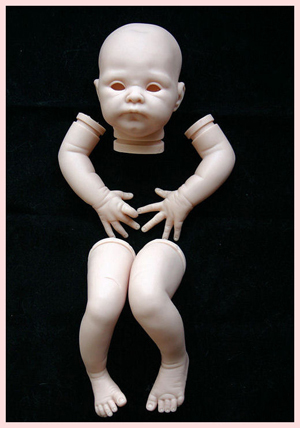 Mix and Match Collection, Adrie designed a girls torso with partly soft body and limbs, 6 heads and separate legs. A boys torso will follow as will some more heads now and then. When complete, these kits measure around 18". 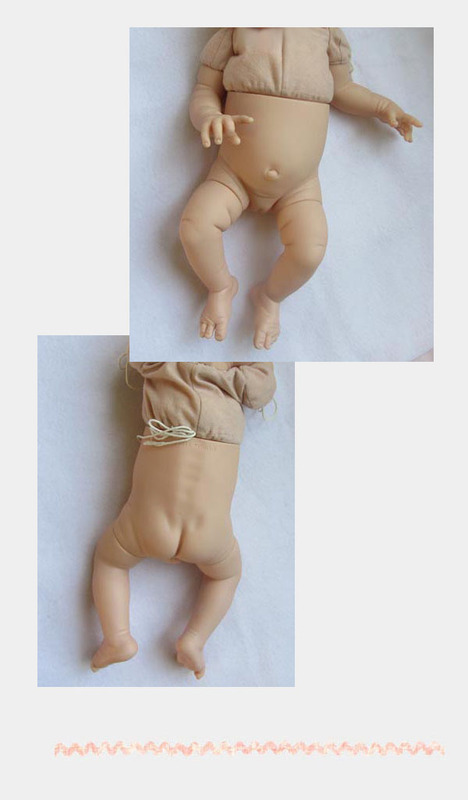 The torso comes with arms and legs, if you do not want to use a torso for your reborn, but do want a specific head, you can choose a different set of legs together with the arms. 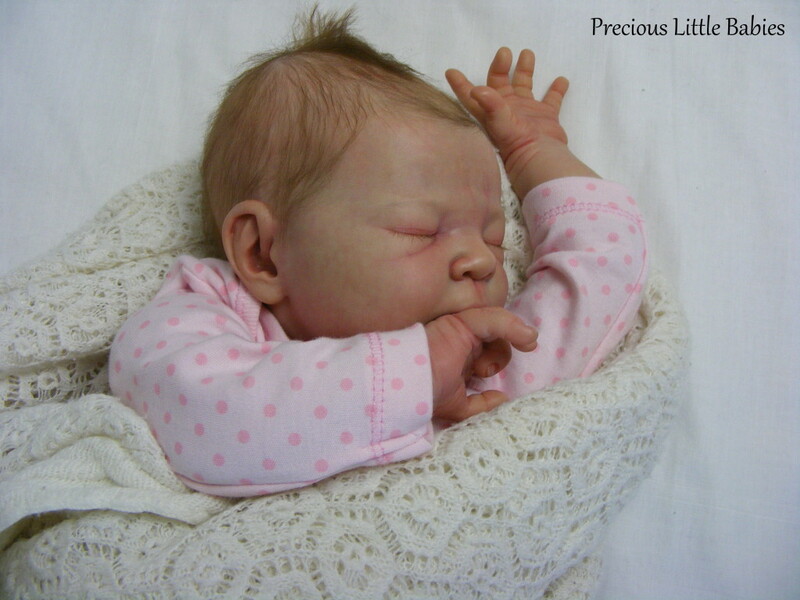 It will also be possible to pick heads from our Tiny Sweetness Collection with the torso. 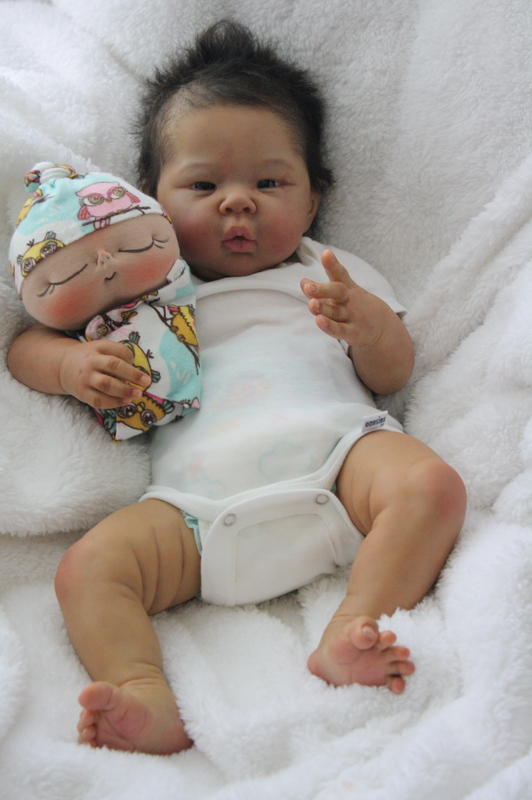 So Mix and Match to make your dream baby! At current we have no accurate price or release information (we expect the first few April/May 2011), we will keep you updated the coming months. 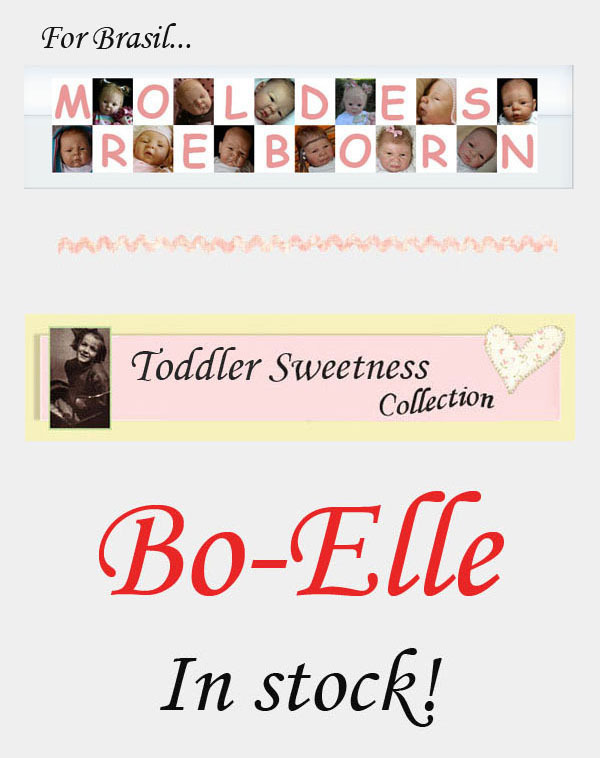 Bo-Elle normal and SE kit are back in stock! Emma SE sold out, Felicia SE sold out, normal edition just a few left, Paris SE sold out, Alexia just a few left. On the top side of our website and during check out, you will have the possibility to change your currency. Current currencies we offer are: US Dollar, Euro, GB Pound, Australian Dollar, Canadian Dollar, Swiss Franc and Japanese Yen. Shipping costs will be displayed when logged in. Just add things to your basket and shipping will alter. Be aware that there are more shipping companies with different options for each of them. When logging in you can now tick the "remember me" box. Doing so means you will automatically log in every time you visit our website. We have added Dutch, German, and French language files to our website, we have not yet translated all kits and other products, but all technical terms of the website are translated. Customers that place a pre-order will automatically receive an e-mail to finish their order a few days before Suze will be released. (You can also add things to your order if you like). Shipping costs will be displayed when logged in. Just add things to your basket and shipping will alter. Be aware that there are more shipping options. We have added Dutch language files to our website, though not completely finished yet, all kits and items are already displayed in Dutch. Soon we will add German and French. 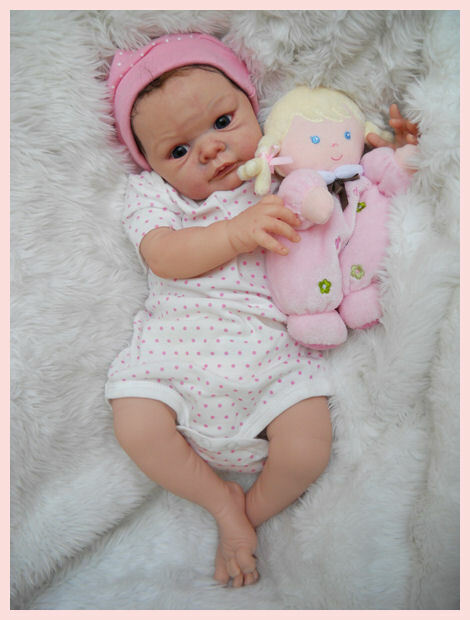 Eindelijk is het zover, de Adriesdolls website nu ook beschikbaar in het Nederlands. Nog niet alle items zijn vertaald maar dat zal de komende tijd gebeuren. De voorpagina zal in het Engels blijven daar er vaak enkel foto's op staan. Nieuwe kits en produkten zullen uiteraard wel in het Nederlands toegevoegd worden. Ook de gehele winkelomgeving is vertaald zodat u nu ook kunt winkelen en afrekenen in het Nederlands. Veel plezier!!!! 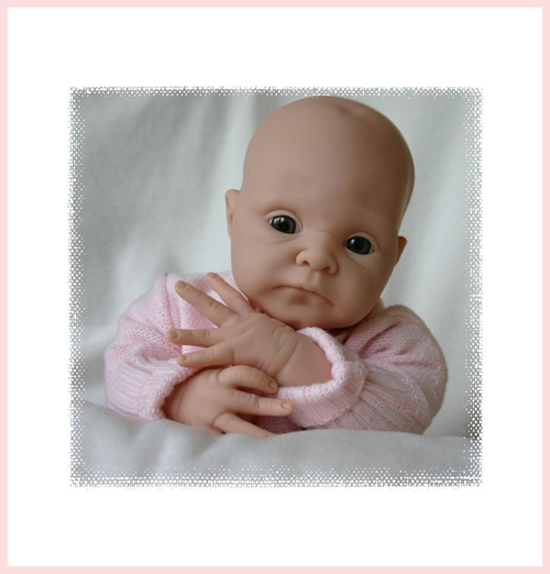 We received a lot of positive reactions about our new doll eyes. Unfortunately some of them are already out of stock. 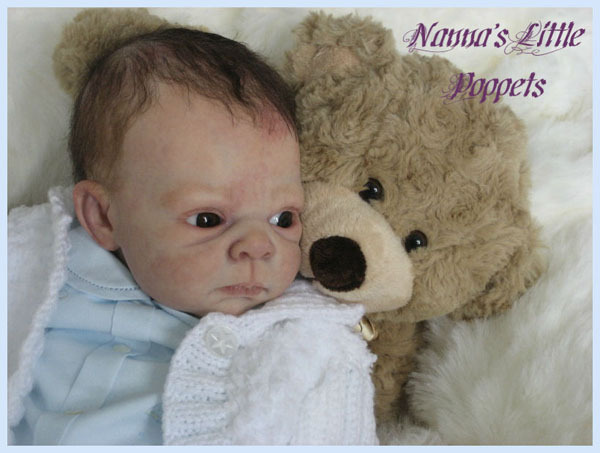 As all eyes are handmade, it will take some weeks to get them in stock again. Of course we ordered larger quantities this time. As they are so popular, we decided to add 18mm eyes to our range to suit our 18" kits and the new Mix&Match Collection kits. We expect to receive them in about 4 weeks from now, so early-mid April. 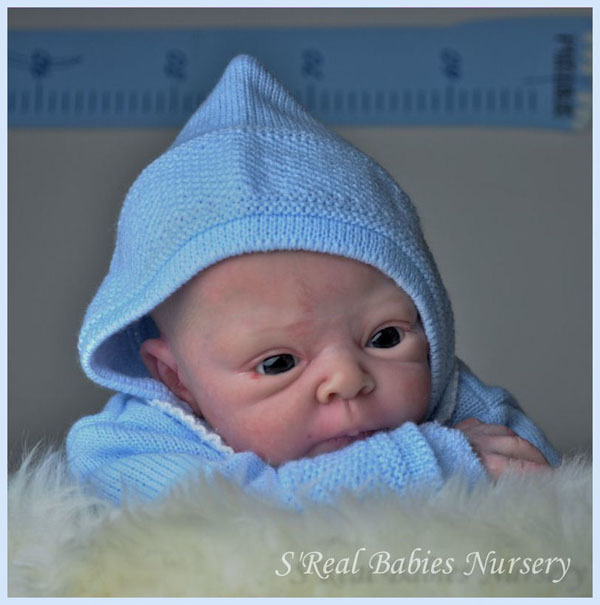 In our search for only the best quality glass eyes for our doll kits, we have found a small manufacturer in Lauscha, the glassblowing capitol of Germany, that delivers real craftsmanship. These eyes are mouth blown and when finished, hand sorted to make a matching set. Of course we only sell first class quality.The pupils are deep inside the eye and there is a dark circle around the iris. Together with their rich colors and shine and their natural round shape in both the diameter and the dome, (with the full rounds) it will make them very close to a real eye of a human being. There are several colors and sizes ( 18*, 20, 22 and 24mm) available, both full rounds and flat backs. We have added a new category on our website called supplies. 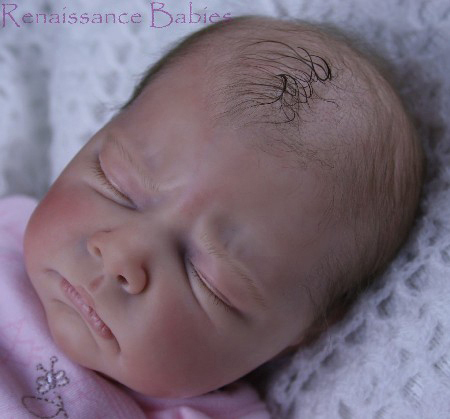 We are not planning to have plenty of items there, just some high quality essential items for reborning that we think will fit nice with our kits. Suggestions for other articles? Let us know! 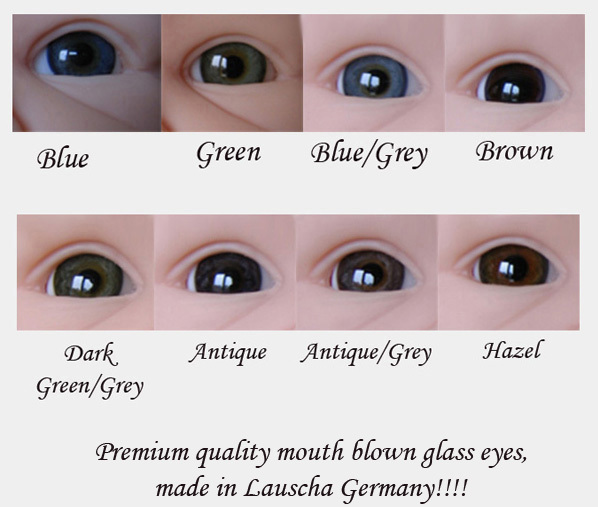 In our search for only the best quality glass eyes for our doll kits, we have found a small manufacturer in Lauscha, the glassblowing capitol of Germany, that delivers real craftsmanship. These eyes are mouth blown and when finished, hand sorted to make a matching set. Of course we only sell first class quality.The pupils are deep inside the eye and there is a dark circle around the iris. Together with their rich colors and shine and their natural round shape in both the diameter and the dome, (with the full rounds) it will make them very close to a real eye of a human being. There are several colors and sizes (20, 22 and 24mm) available, both full rounds and flat backs. 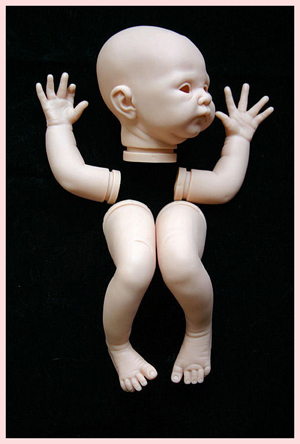 Mix and Match Collection, Adrie designed a girls torso with partly soft body and limbs, 6 heads and separate legs. A boys torso will follow as will some more heads now and than. When complete, these kits measure around 18". At current we have no accurate price or release information (we expect the first few April 2011), we will keep you updated the coming months. 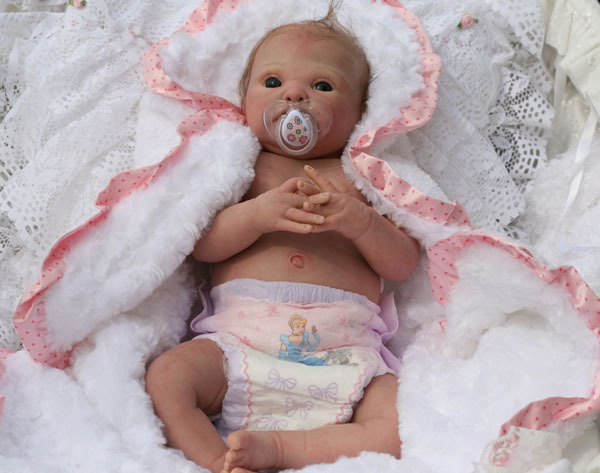 Eindelijk is het zover, de Adriesdolls website nu ook beschikbaar in het Nederlands. Nog niet alle items zijn vertaald maar dat zal de komende week gebeuren. De voorpagina zal in het Engels blijven daar er vaak enkel foto's op staan. Nieuwe kits en produkten zullen uiteraard wel in het Nederlands toegevoegd worden. Ook de gehele winkelomgeving is vertaald zodat u nu ook kunt winkelen en afrekenen in het Nederlands. Veel plezier!!!! Now available! 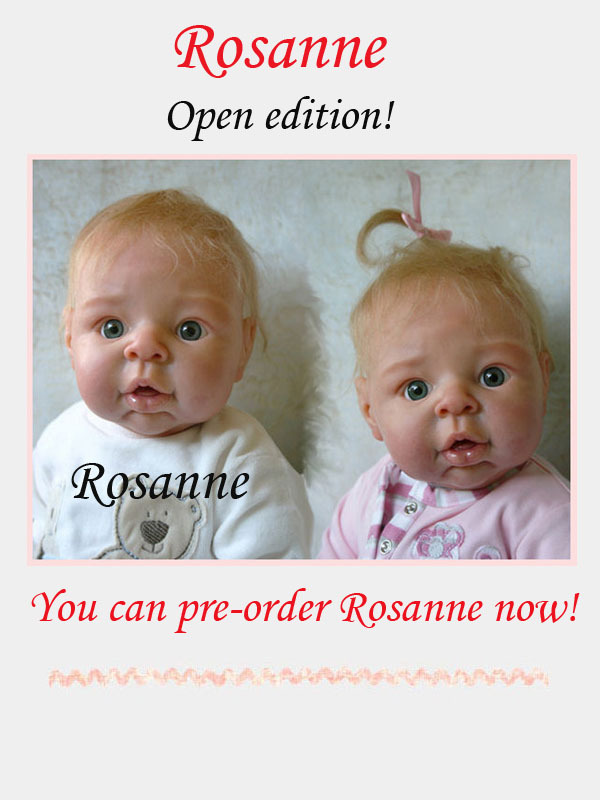 Shipping for Rosanne (Special Edition) started January 14! At current we have no price or release information, we will keep you updated the coming months. Bo-Elle normal and SE kit not in stock at the moment. Will be back in stock near the end of this month. Rosanne now available! 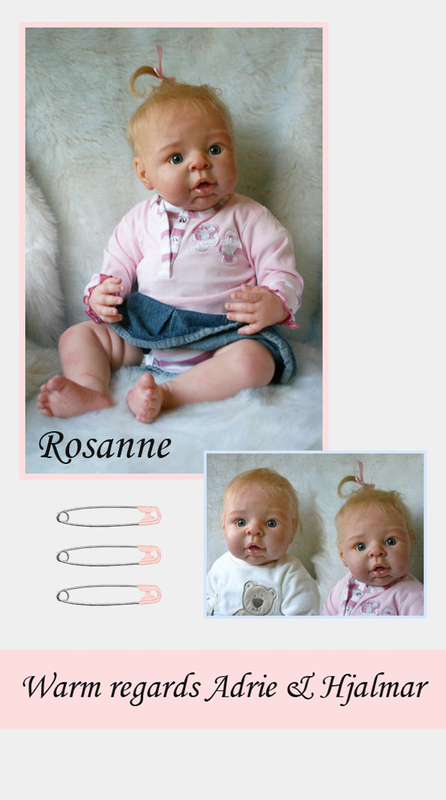 We will start shipping Rosanne (Special Edition) orders tomorrow, January 14! 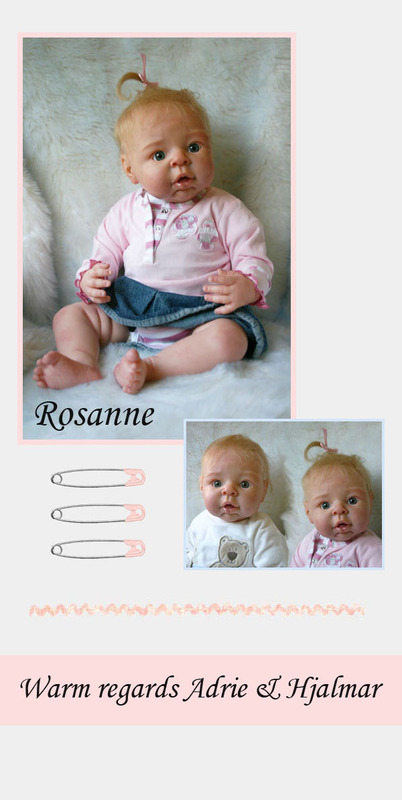 We will start shipping Rosanne Special Edition orders around the end of next week, we are waiting on a shipment with the bodies. Both Adrie and I wish to thank you for your loyal customership and all the nice comments we received the past year. 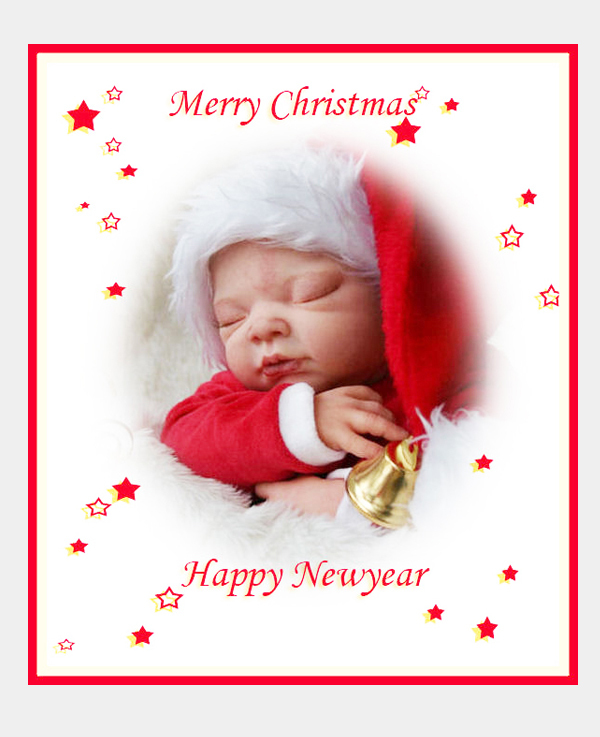 We wish you and your families a Merry Christmas and a very happy Newyear! Today we sold the last 2 Felicia Special Editions, as we discontinued Felicia, there are only a few normal editions left. 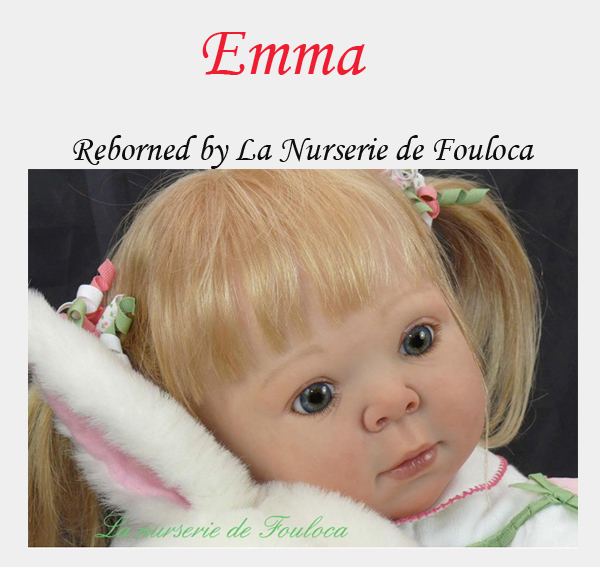 Less than 20 Alexia's left, a few Emma's and only a few Felicia normal editions. Paris Special Edition completely sold out. Normal edition fully available. *Of course TNT shipping is still free with Storm Special Edition orders. 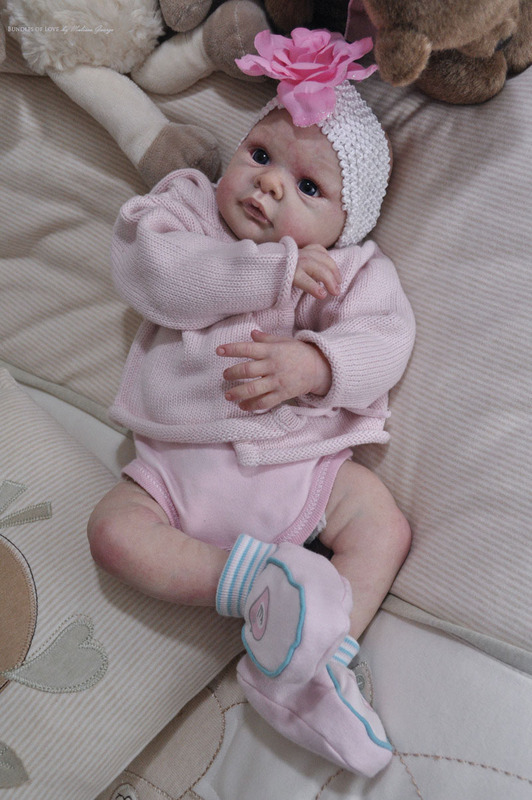 Mix and Match Collection, Adrie designed a girls torso with partly soft body and limbs, 3 heads and separate legs. A boys torso will follow as will some more heads now and than. When complete, these kits measure around 18". This time we had a really special prize in our raffle. We drew one number out of all orders made during November. STACEY FOREMAN of Australia. 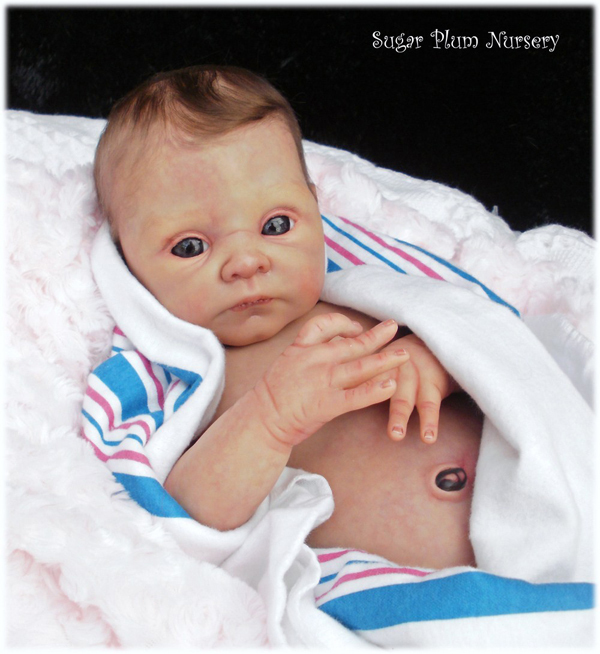 Congratulations and enjoy reborning! Your prize will be our 50st Anniversary kit: a Storm Special Edition kit, of course you will get # 50. Numbered and signed by Adrie and shipping is included. We aim to hold a raffle or have special offers regularly, so take a look at our forum now and then! 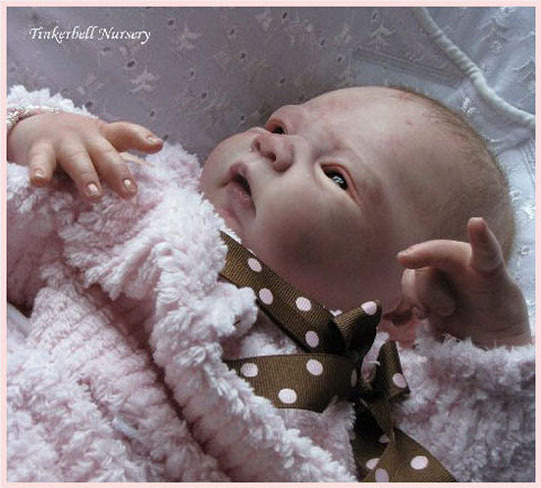 *For now we aim our forum to be for Adriesdolls kits only, this means that it's not possible to post pictures in the reborn gallery section of kits designed by Adrie but manufactured through other companies. 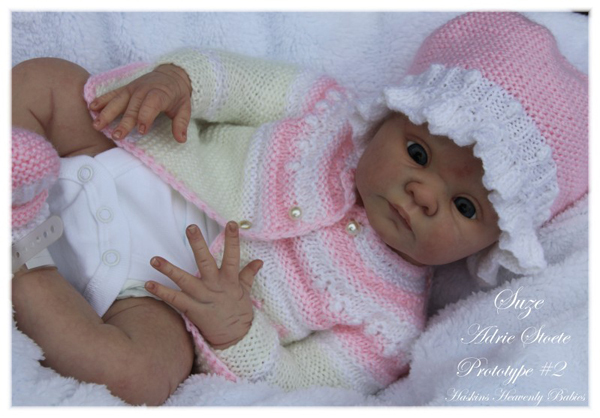 All kits designed by Adrie and manufactured via Adriesdolls are shown on our website. 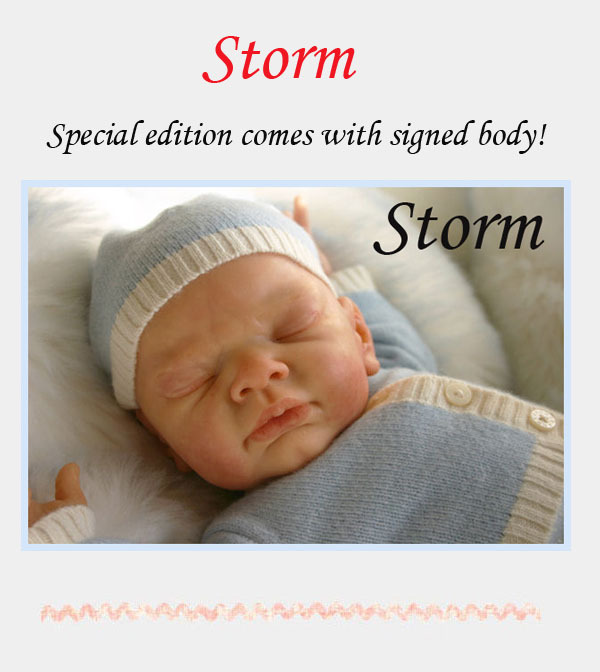 First reborned Storm Special Editions on E-bay!!!! 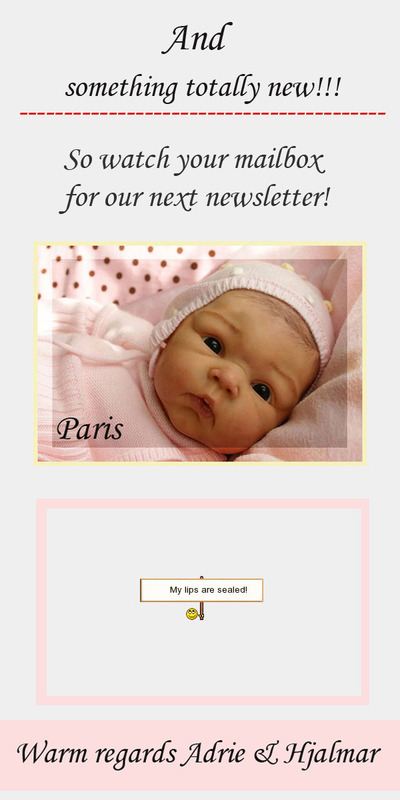 We have had one Paris Special Edition returned from a customer due to a canceled reborn order. So there is one Paris Special Edition # 73 available in our store. Normal edition fully available. 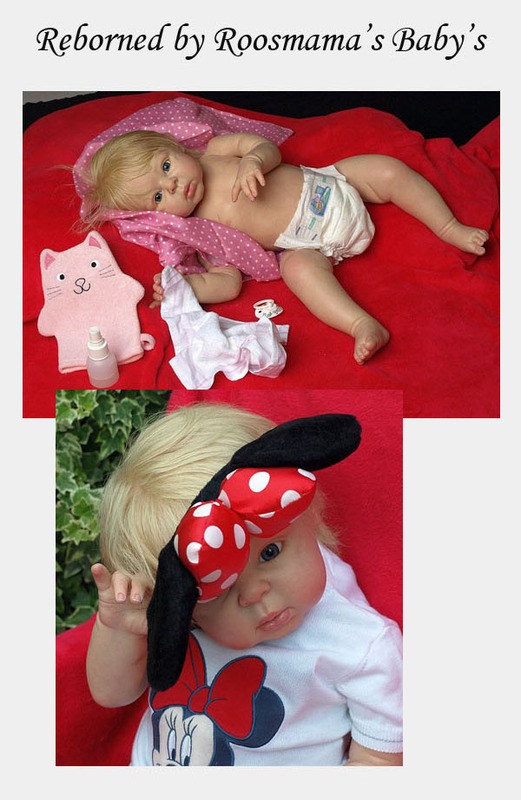 For a complete list of Adriesdolls Official Dealers, click here. 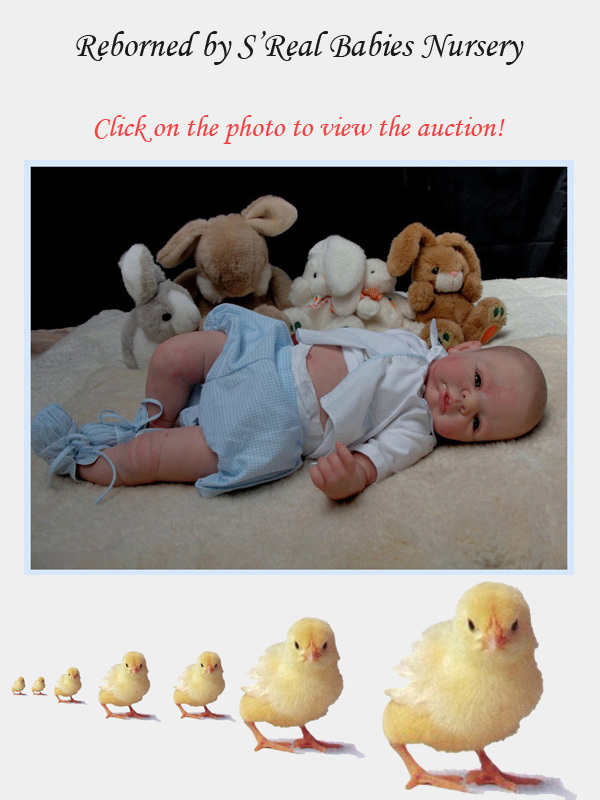 This time we have a really special prize in our raffle. What do you need to do to have a chance winning this fabulous prize? 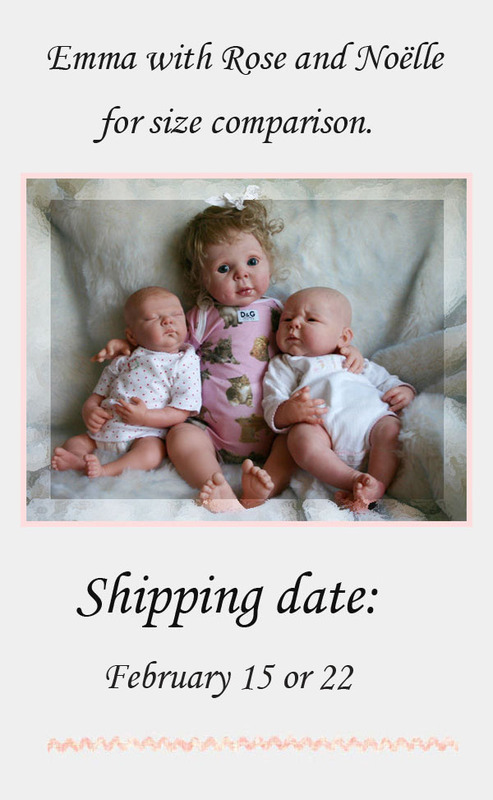 Well, just place an order at www.adriesdolls.com and we will pick one winner out of all orders placed between November 1 and November 30. 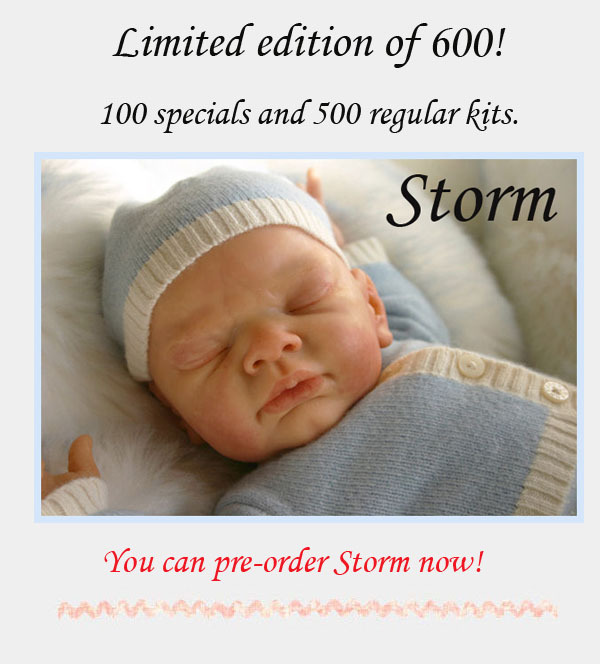 Remember, shipping is still free for your entire order when it contains at least one Storm Special Edition!! Next month we will probably not be having a raffle but we will have some very special X-mas offers during December. Shipping of Storm Special Editions has started!!!! Only 4 Paris Special Edition kits left. #88, #94, #97 and #99. Normal edition fully available. To make things easier for our foreign customers we installed a new currency module on our website this week. This means that you can now select different currencies. You are now able to view our prices in Euro, US Dollar, GB Pound Sterling, Australian Dollar, Swiss Francs and Japanes Yen. Of course you can also pay in these currencies through Paypal. Initially our website determines what currency will be displayed based on your IP-address. However you can change this manually on the top in case you wish to see our prices in a different currency. Our next project will be adding different languages, soon we will add Dutch, later we will add German and French. *Currency rates are imported from the European Central Bank twice a day, so prices in currencies other than Euro will vary from day to day according to the financial / currency market. Please do not hesitate to contact us with questions regarding the currency, shipping or new kits. You can use the contact form on our website or just send us an e-mail. 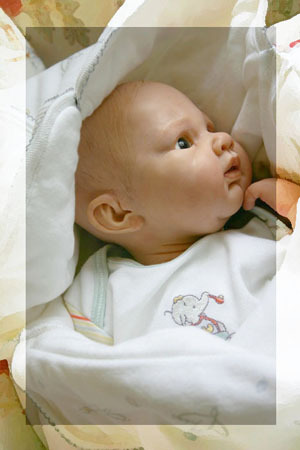 E-mails can be send directly to Hjalmar: sales@adriesdolls.com . The Paris Special Edition is almost sold out. About 10 left. We got new shipments of Paris kits so normal edition well in stock now. 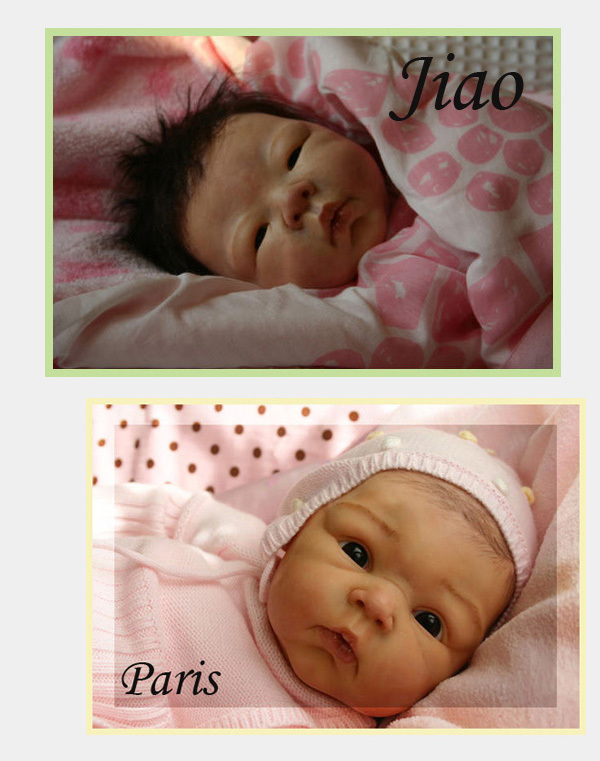 Combine Paris with a Storm Special Edition and shipping is Free, world wide!!!! 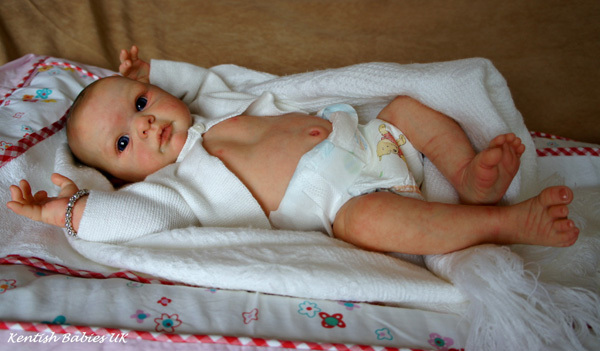 We have designed a new body with front opening for full legs for our Frankie, Teddy and Mae kits. This body is currently in production, more details and pictures will follow when this body is ready. 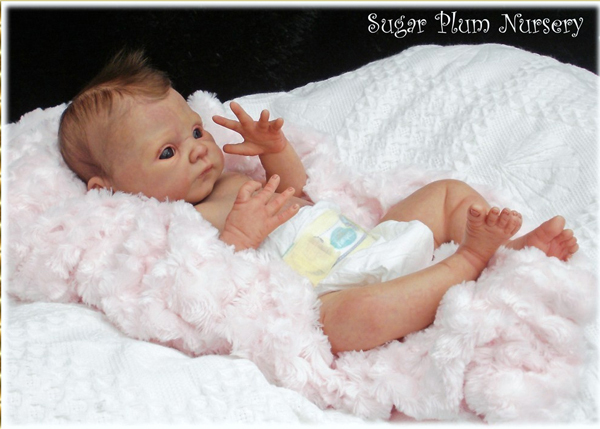 Probably tomorrow this body will be added to the website. To make things easier for our foreign customers we installed a new currency module on our website this week. This means that you can now select different currencies. You are now able to view our prices in Euro, US Dollar, GB Pound Sterling, Australian Dollar or Swiss Francs. Of course you can also pay in these currencies through Paypal. Initially our website determines what currency will be displayed based on your IP-address. However you can change this manually on the top in case you wish to see our prices in a different currency. Our next project will be adding different languages, soon we will add Dutch, later we will add German and French. *Currency rates are imported from the European Central Bank twice a day, so prices in currencies other than Euro will vary from day to day according to the financial / currency market. We get many questions about shipping and taxes. As we ship from The Netherlands, there are no additional import taxes for shipments to other EU countries. If you have a valid VAT number within the EU, please contact us before ordering. 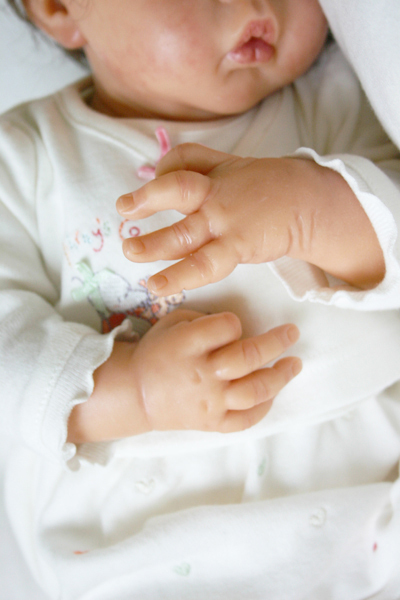 There are also no Customs duties or state taxes on dolls and doll parts for shipments to the USA. We work with two shipping companies, TNT, being our national postal service, and the well known UPS. You can select one of them during check out and see what options there are. Please do not hesitate to contact us with questions regarding the currency, shipping or new kits. You can use the contact form on our website or just send us an e-mail. 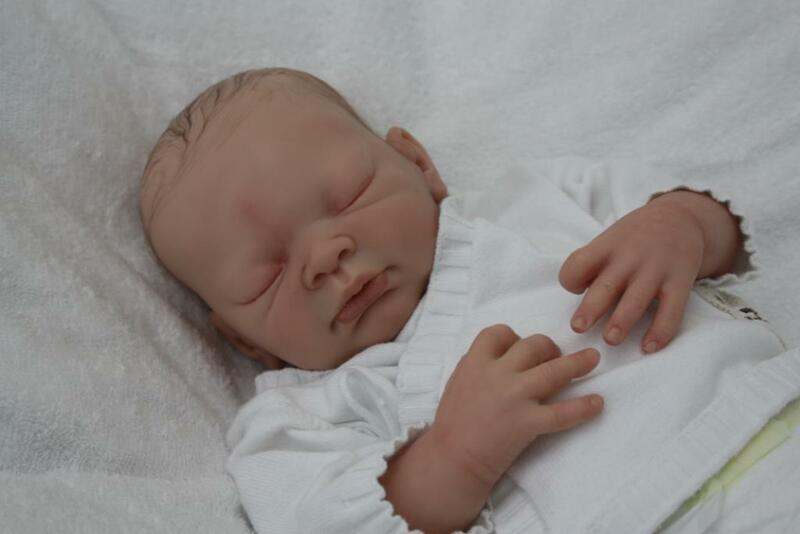 E-mails can be send directly to Hjalmar: sales@adriesdolls.com. To make things easier for our foreign customers we installed a new currency module on our website this week. This means that you can now select different currencies. You are now able to view our prices in Euro, US Dollar, GB Pound Sterling, Australian Dollar or Swiss Francs. Of course you can also pay in these currencies through Paypal. Initially our website determines what currency will be displayed based on your IP-address. However you can change this manually on the top in case you wish to see our prices in a different currency. *Currency rates are imported from the European Central Bank twice a day, so prices in currencies other than Euro will vary from day to day according to the financial / currency market. We will start shipping pre-orders for Storm on November 9!!!! 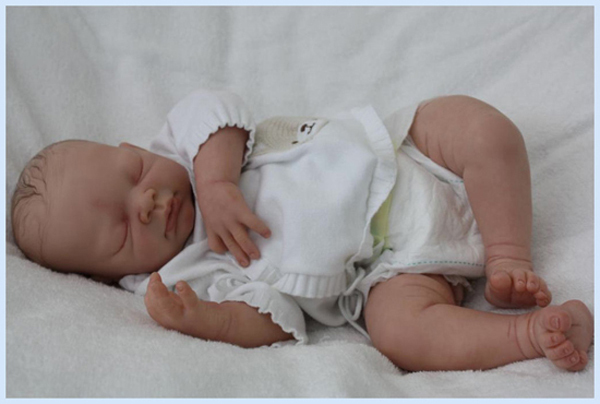 We have designed a new body with front opening for full legs for our Frankie, Teddy and Mae kits. This body is currently in production, more details and pictures will follow when this body is ready. 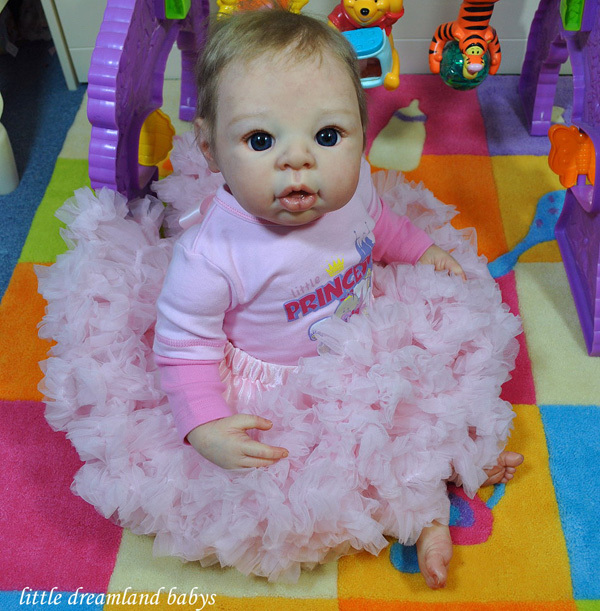 Lacey Michelle reborned our Elin and Elawin fairy kits, they are stunning! 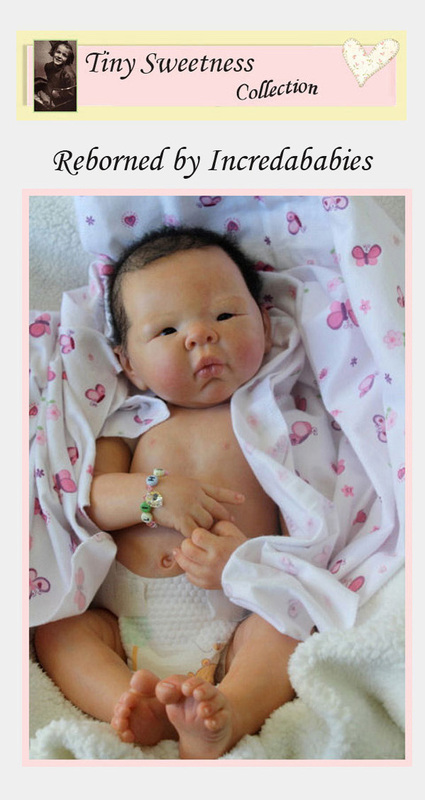 She made them look like ball jointed dolls, though these kits have no ball joints at all. On her blog (http://l-michelle.typepad.com/lacey_michelle/2010/09/elawin-elin-fairy-kits-by-adrie-stoete-.html) you will find more progression photos and a small step-by-step guide. With all these beautiful new kits coming up we will also retire some other kits. As mentioned in our previous newsletter, we discontinued our Isa kit already, she is completely sold out now and we will not reorder her. Other kits we will not reorder anymore are listed below. They are still in stock at this moment, quantities vary per kit. Please do not hesitate to contact us with questions regarding the raffle, shipping or taxes. You can use the contact form on our website or just send us an e-mail. 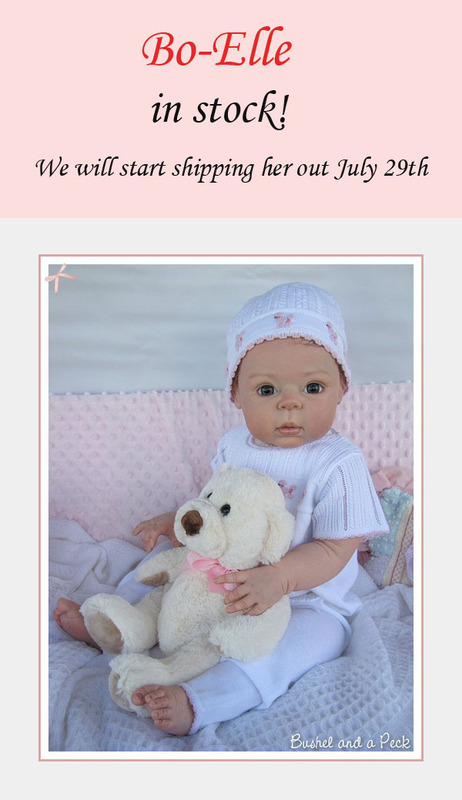 E-mails can be send directly to sales@adriesdolls.com. 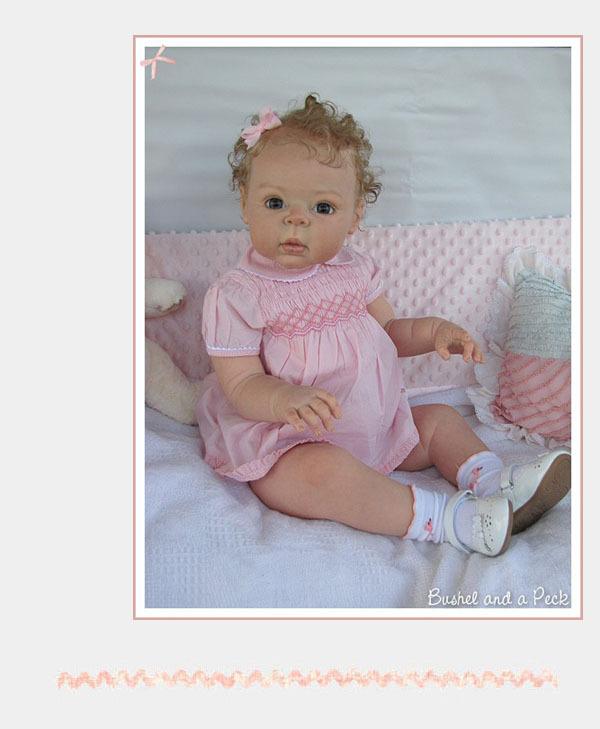 This means she has won an Adriesdolls Special Edition Kit of her own choice including shipping. Congratulations!!!! As we got so many positive comments about our first raffles we decided to continue with them, more info on our next raffle will follow soon, so take a look at our forum now and then! Due to spammers, newly registered users need to be activated, this will be done as often as possible. 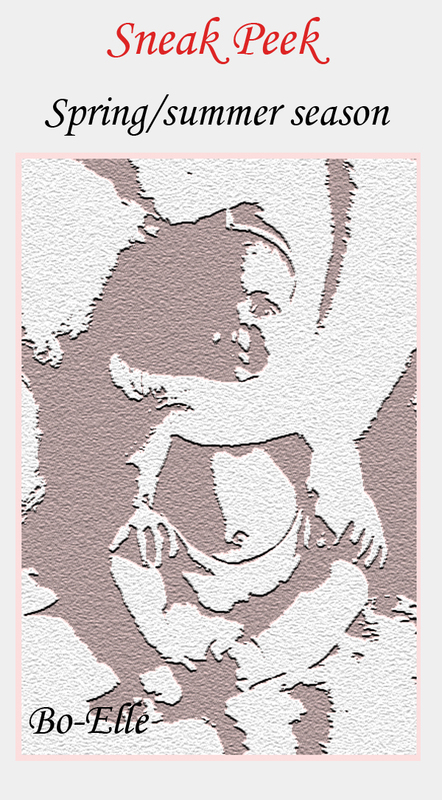 Problems with using the /img tag are fixed, same for auto login. As we got so many positive comments about our first raffle we decided to do another one. We aim to hold a raffle regularly, so take a look at our forum now and then! WAOUUUUUUUUUH !!! I have just read the mail !! I'm so surprised !! I have never won anything anywhere ! lol !! 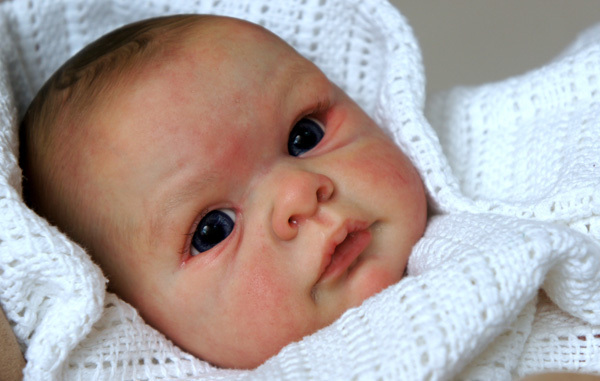 I'm really happy and impatient to receive and reborn it !! I'm 41 years old and mom of 4 wonderful children ( 20 16 10 2 years old ) and childminder (I think is like you called my job. 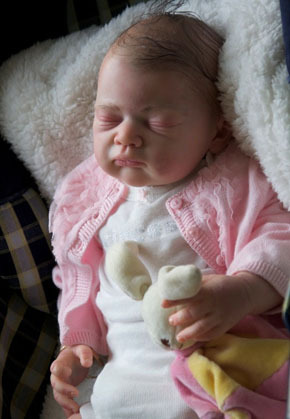 I have begun to reborn last year in march, and I have done this month my 19 reborn, little ZOE. 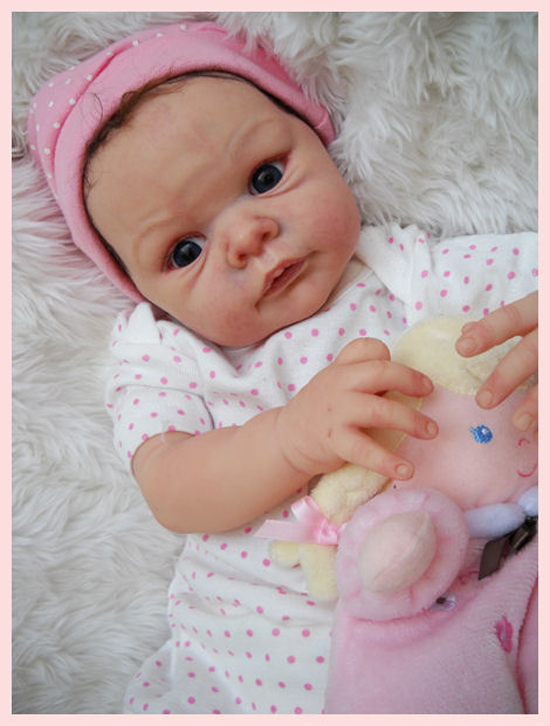 Eveline will be the first kit from Adrie, but the first of a long list as I fall in love with their babies !! Hope to have soon lot of pictures to put here !! 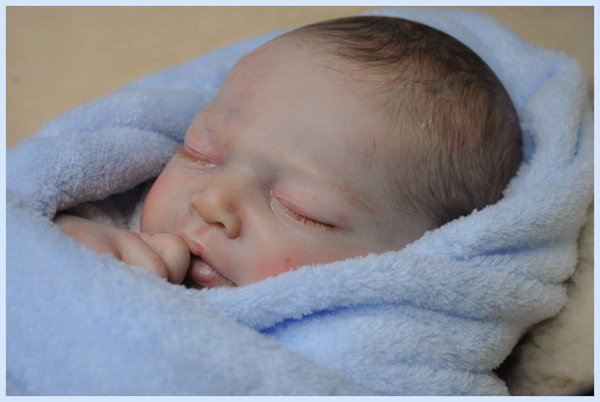 Congratulations Nathalie, your Eveline is on her way home! Over 100 customers from all over the world registered for our new forum in a week, we used a "draw a number generator" to get a winner for our first raffle and the number that came up was number 20. 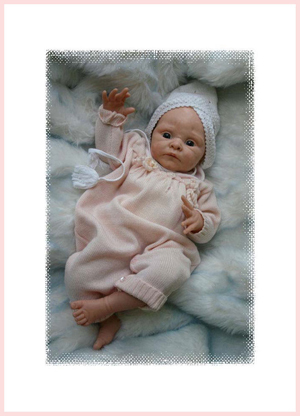 This means that registered user "Liloo" being Nathalie Martain of "La nursery du petit prince" from France has won a Special Edition Eveline kit, signed and numbered (#50) by Adrie. 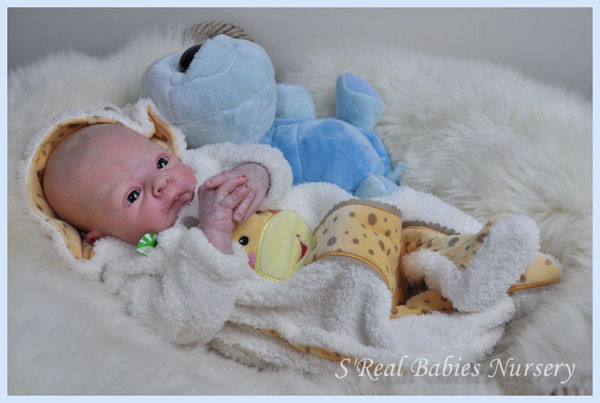 Gratulations Nathalie, enjoy reborning this beautiful Eveline kit! 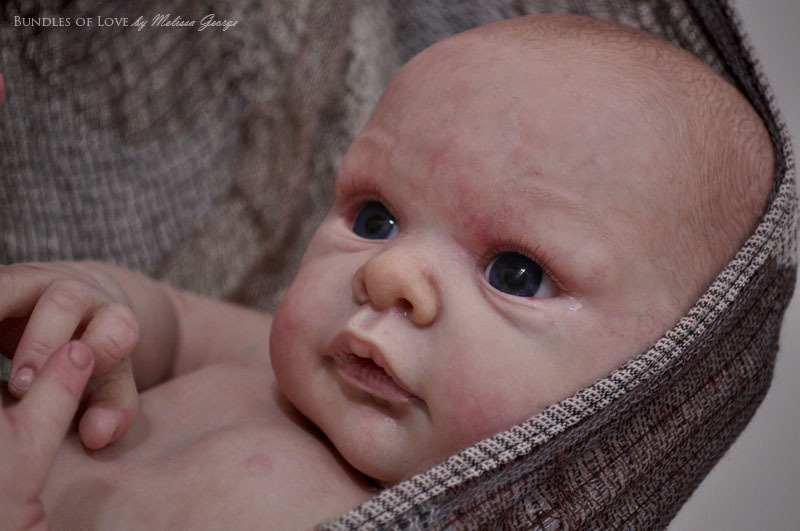 Of course we want to see the pictures on our reborn gallery part of the forum when reborned! As we got so many positive comments about this raffle we decided to do another one. We aim to hold a raffle regularly, so take a look at our forum now and then! We will also announce our winners on the forum. Due to spammers, newly registered users need to be activated, this will be done as often as possible and of course this time we will check more frequent before Thursday! *only one registration per IP and e-mail address. We get many questions about shipping and taxes. As we ship from The Netherlands, there are no additional import taxes for shipments to other EU countries. If you have a valid VAT number within the EU, please contact us before ordering. 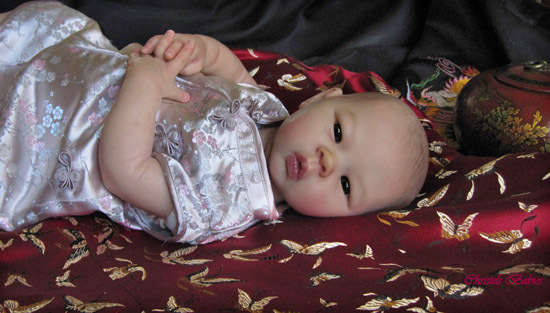 There are also no Customs duties or Customs import taxes on dolls and doll parts for shipments to the USA. As per today our new Adriesdolls Forum is online. We wanted to create an opportunity for our dear customers to show their precious work to other Adriesdolls kits fans around the world. Now we finally managed to do so. 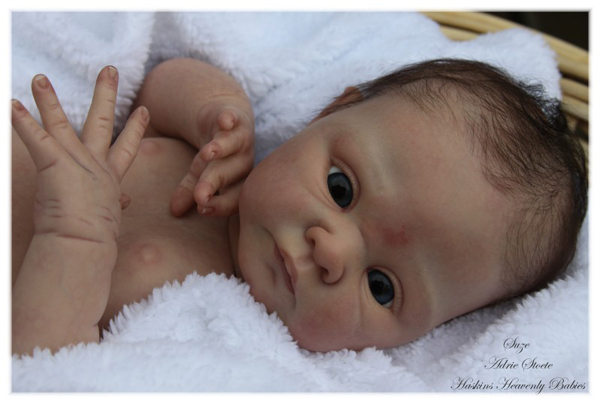 Besides normal Adriesdolls dolls / kits discussions you can also link or upload a maximum of 3 pictures of your Adriesdolls creations in our reborn gallery part of the forum. 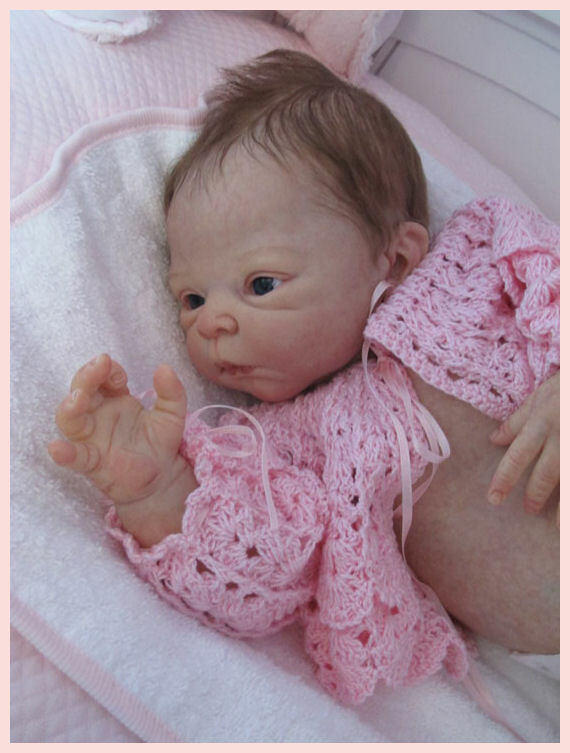 Feel free to show your reborned Adriesdolls kits to us and the rest of the world! There is also a nice introduce yourself part, so show us who you are and where you are from! We will also have some nice forum contests pretty soon and a really nice exclusive offer with our next release. Beware: Please keep using the contact form on top of the Adriesdolls website to contact us directly, as we will not be on the forum to read private messages all the time!!! There are still some items, pictures and topics we need to alter or fill in, this will happen the coming weeks. *For safety reasons, registration and passwords for our webstore and forum are not transferred, so you need to register separately. Note: Don't forget to select your best shipping option when ordering!!! You can change shipping by pressing the -select other carrier- box! All parcels are send by registered mail and for most countries there will be a tracking service. TNT shipping will be € 13,10 for parcels up to 2 kilogram to the UK, Germany, Belgium, France and many more European countries, just look for the rate during check out. Note: Don't forget to select your best shipping option when ordering!!! You can change shipping by pressing the select other carrier box! All parcels are send by registered mail and for most countries there will be a tracking service. TNT shipping will be € 13,10 to the UK, Germany, Belgium, France and many more European countries, just look for the rate during check out. 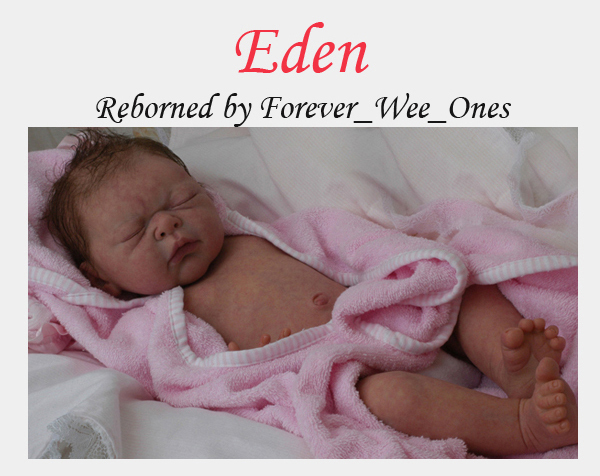 Eden, our newest release. Available May 11! Please be aware that we have several shipping options, you can always alter the shipping method during your order, just select the SELECT A CARRIER option during check-out and there will be another option: TNT. This is our national postal service. All parcels are registered and insured!!!! The transit time of the parcel is mentioned in this listbox. For example: United Kingdom, Germany, Belgium, France, Spain, Austria, Sweden will only cost € 13,10. United States, Canada, Brasil, China, Russia, Australia and many more countries around the world will cost only € 24,10. Barry ready to pre-order.Official releasedate: March 25. 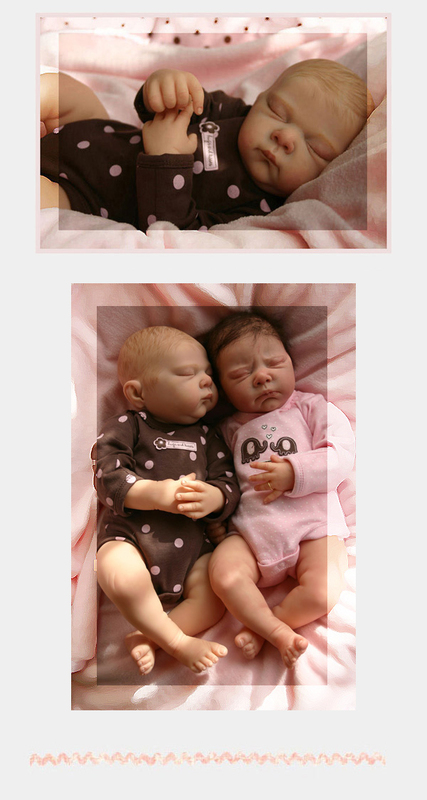 The first doll kits produced entirely by ourselves. Available again! A new shipment of Alexia and Noëlle came in. 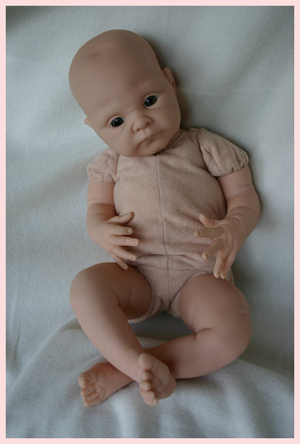 For ordering please visit www.adriesdolls.com or our official Adriesdolls dealers. 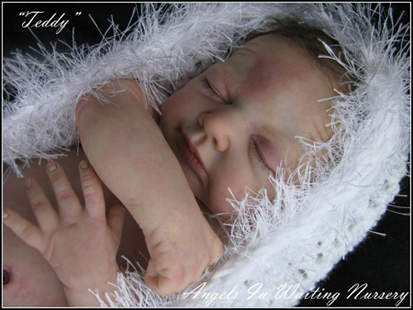 All orders will be shipped on January 5, 2009. 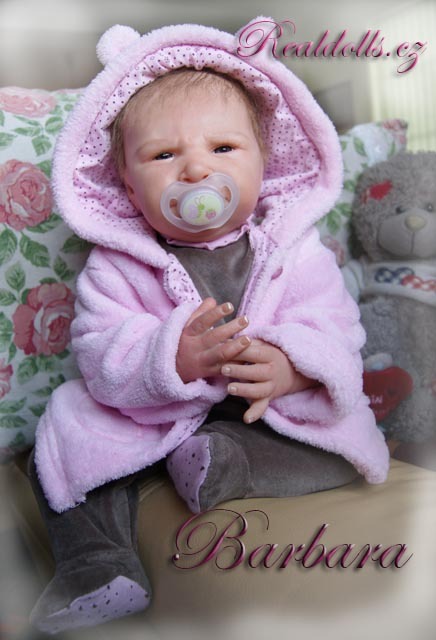 The first dollkit produced entirely by ourselves. Available again! 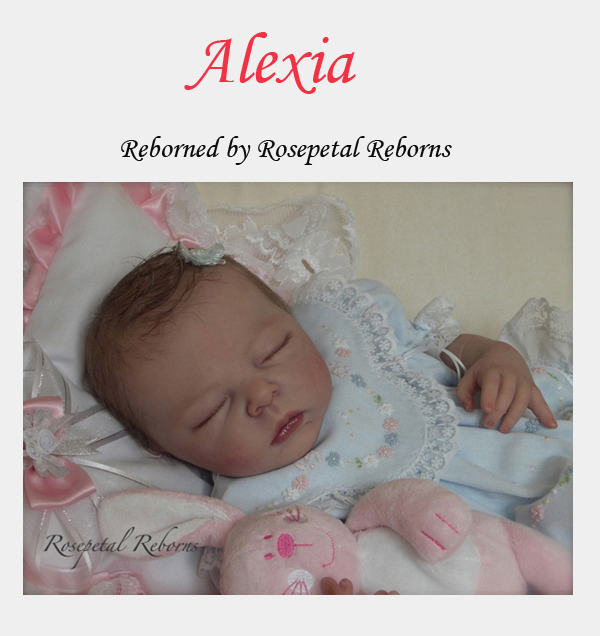 A new shipment of Alexia came in. 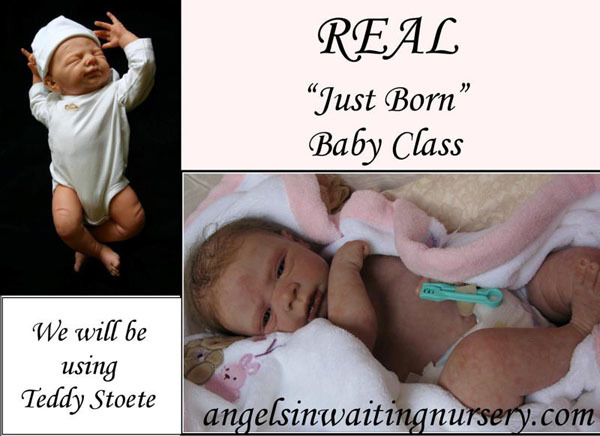 Adrie Stoete-Schuiteman proudly presents her new website. After using the previous website for many years we felt that all improvements we came up with deserved to be incorporated in a serious redesign of the website. 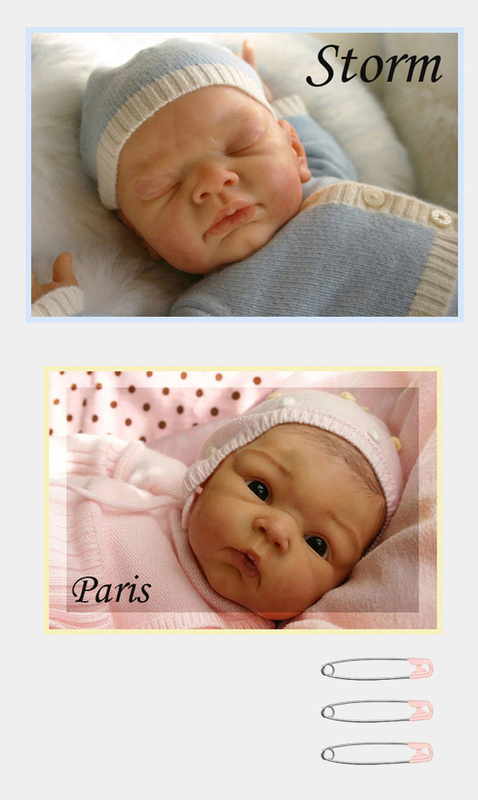 Hopefully you will enjoy the result as much as we do, after many many hours of brainstorming and ideas how we really would like to present my dolls we are very happy with the new website. 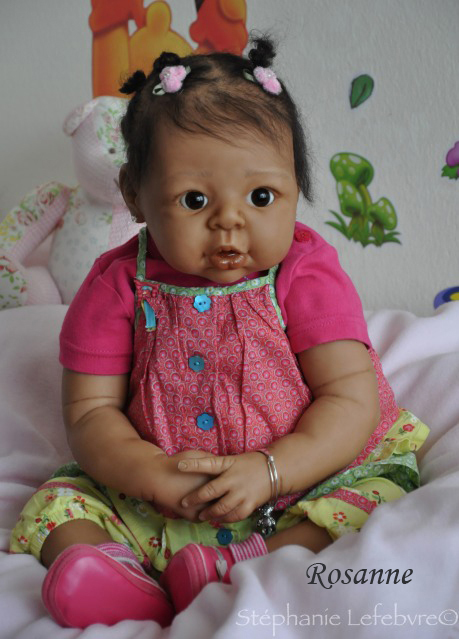 Greetings, Adrie Stoete-Schuiteman.